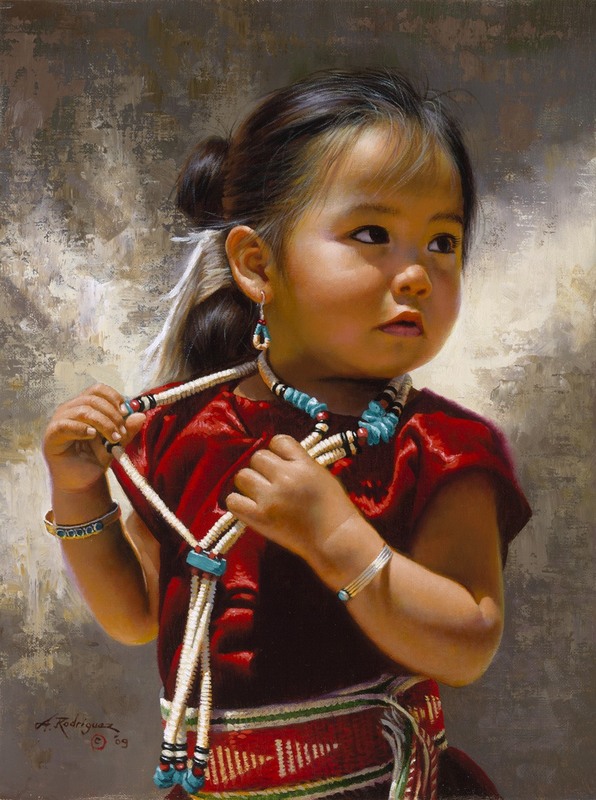 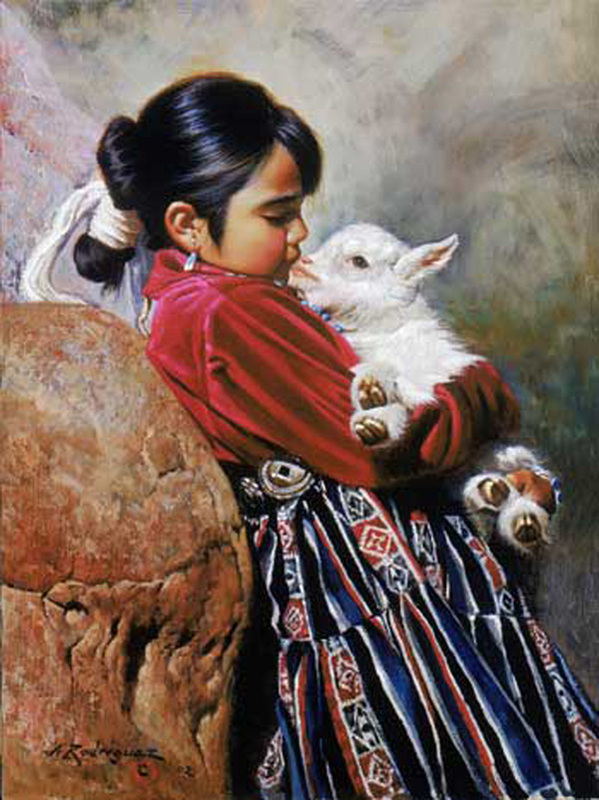 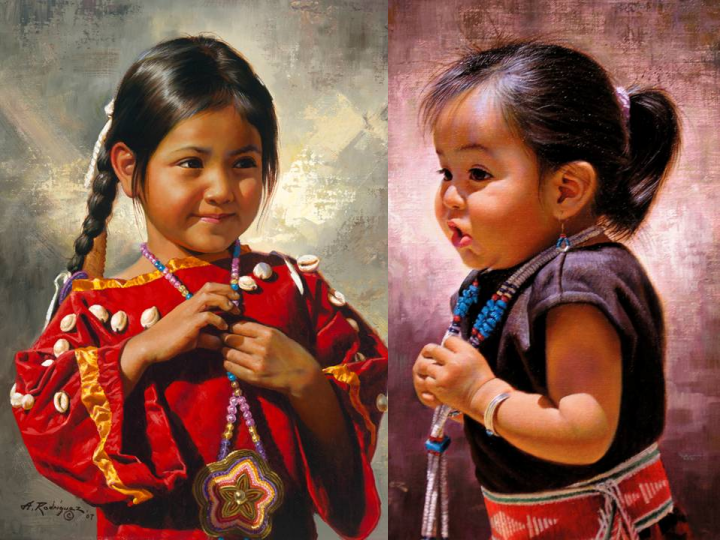 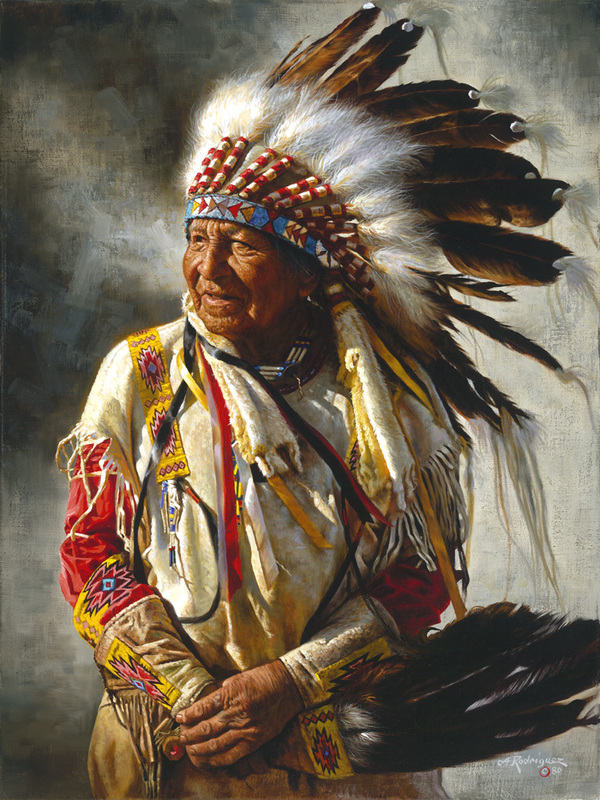 A member of the American Indian and Cowboy Artists Association, Alfredo Rodriguez established a studio in Corona, California. 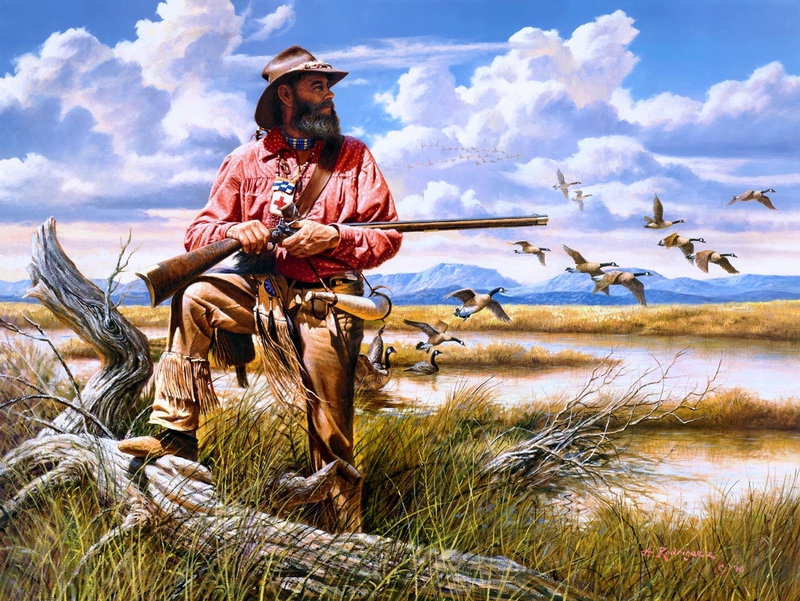 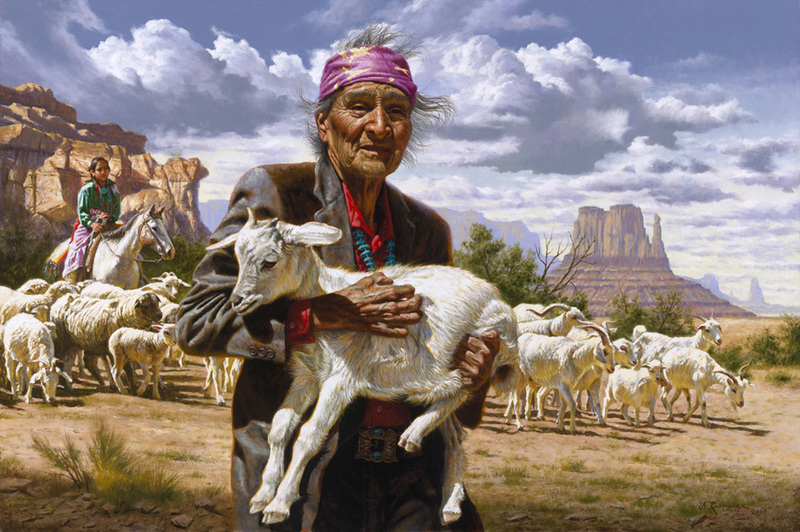 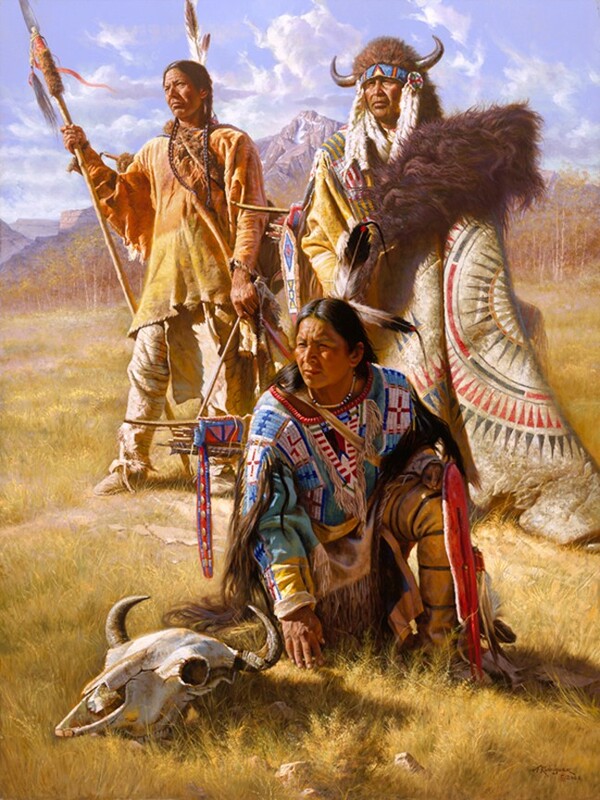 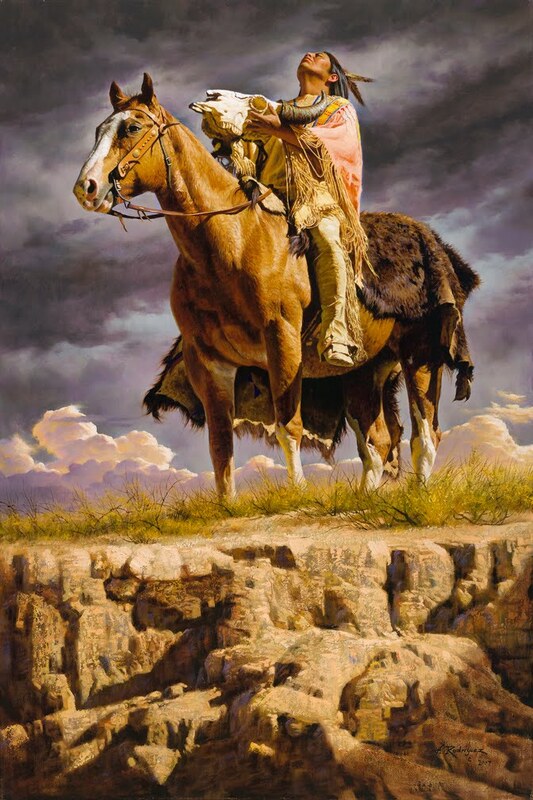 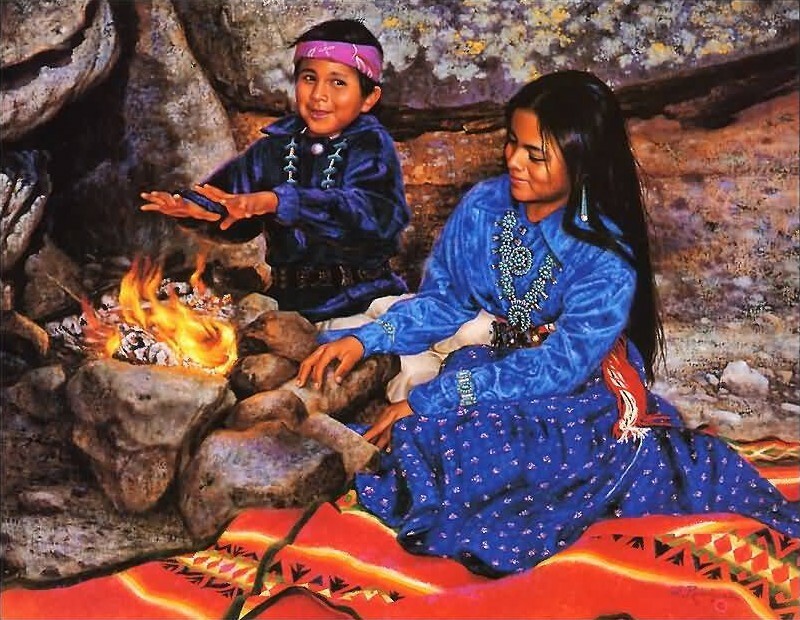 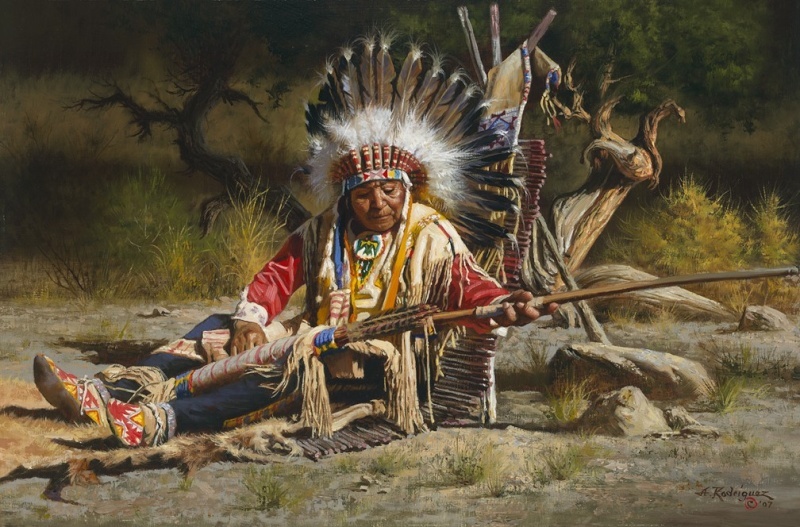 His rich and vivid colors depict scenes of the inhabitants of the American West: Indians, Mountain Men, Cowboys, nestled in the mountains, deserts, and Indian villages. 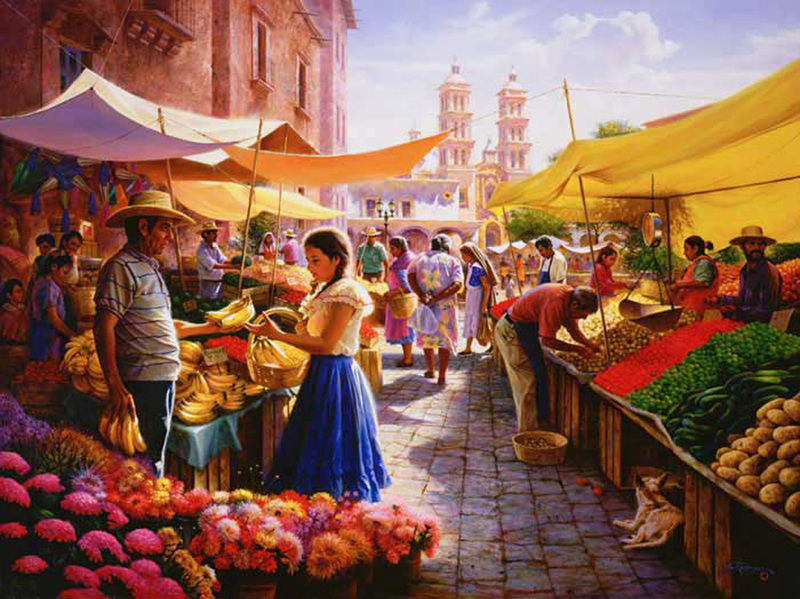 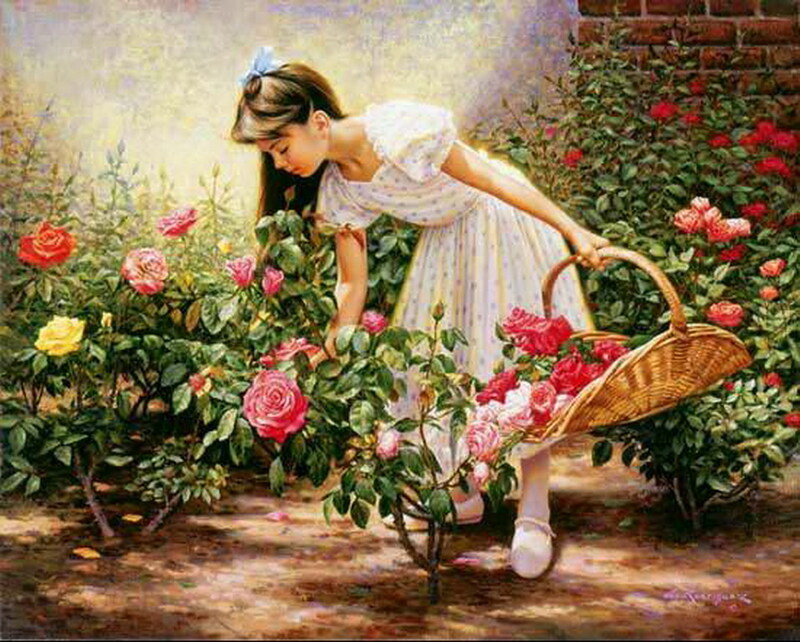 Painting has always been a part of Alfredo Rodriguez' life. 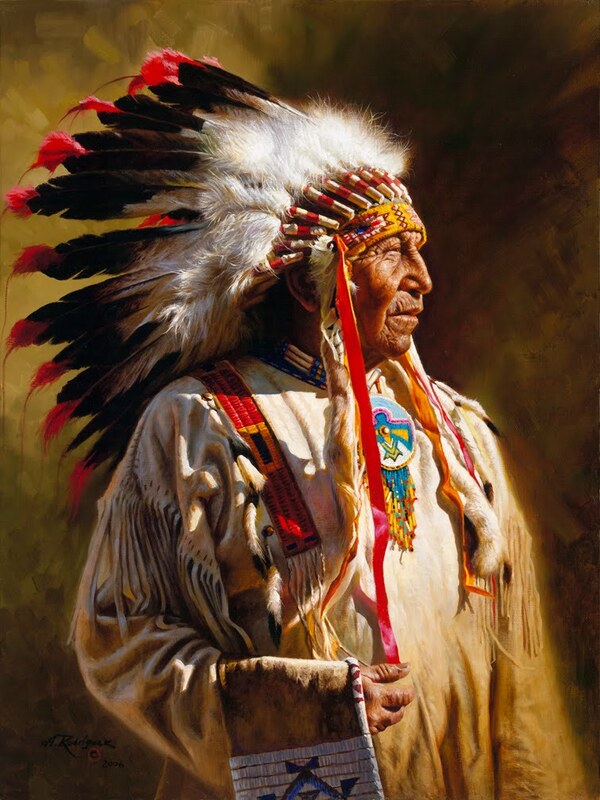 He was born in 1954 in the small Mexican town of Tepic, Nayarit which is located in the heart of Mexico and very close to the Huichole Indian reservation. 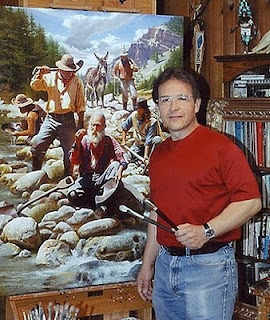 He was born and raised into a family of nine children, and the first gift he can recall was a gift of watercolors from his mother. 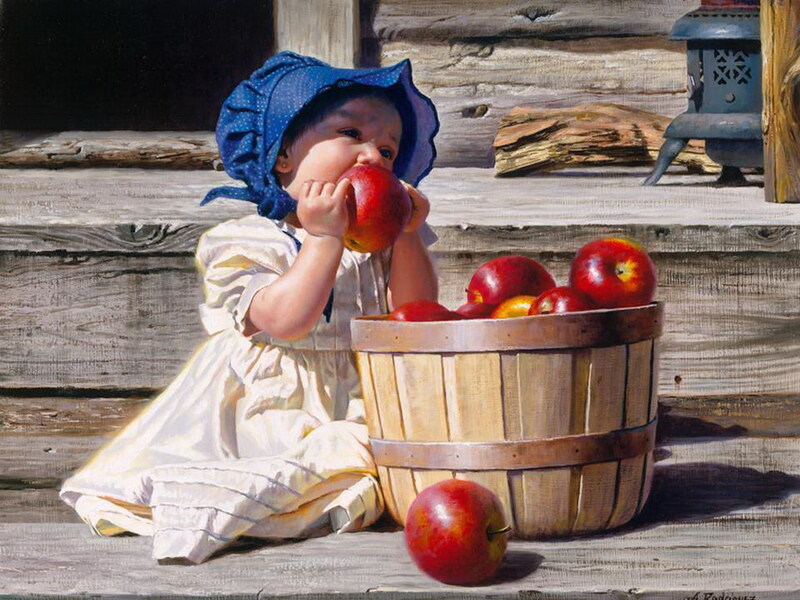 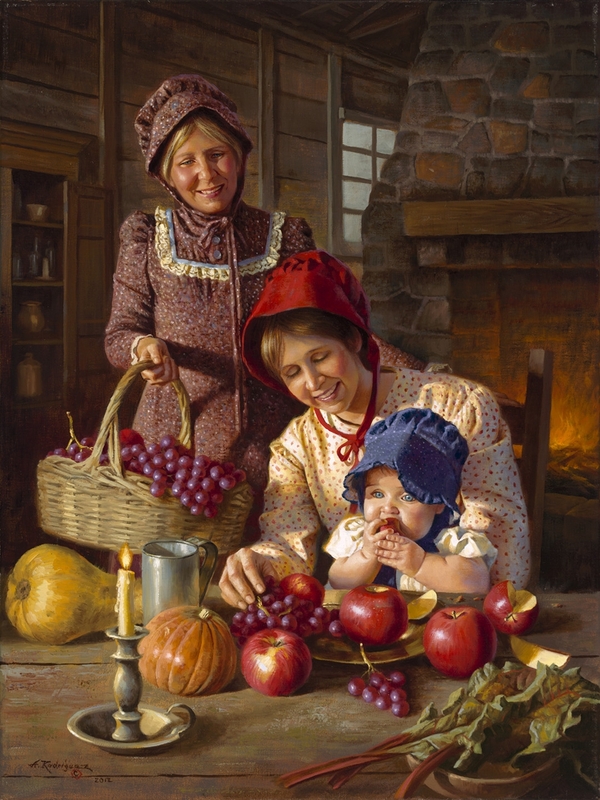 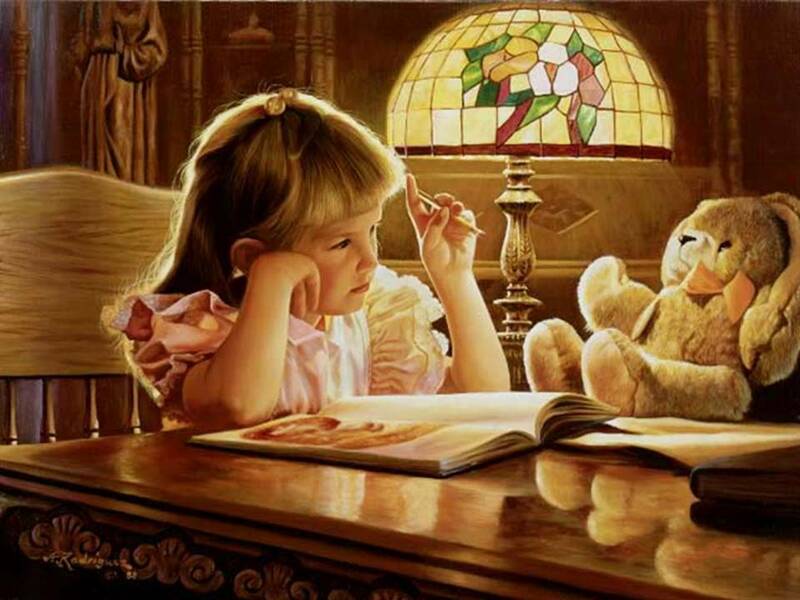 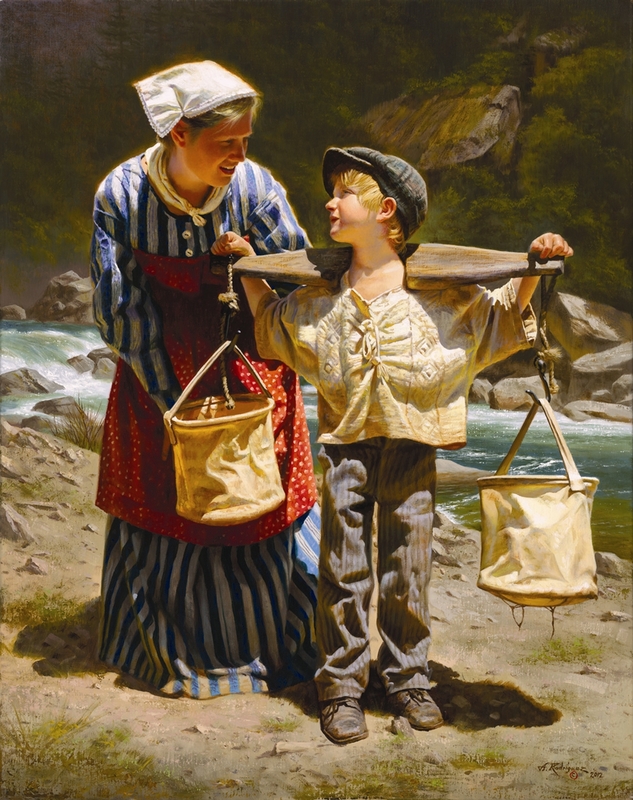 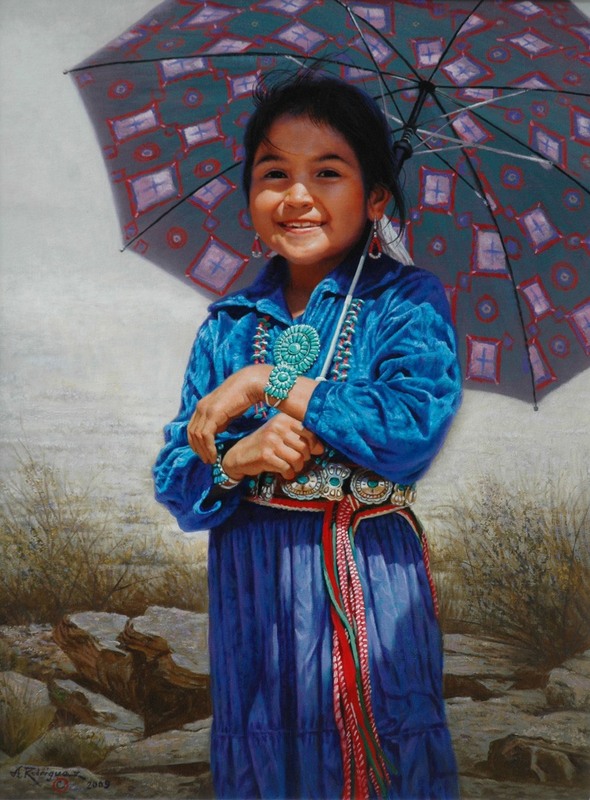 Some of his earliest memories are of illustrating classroom assignments and painting portraits of family members, he used his talent to supplement his family's income needs. 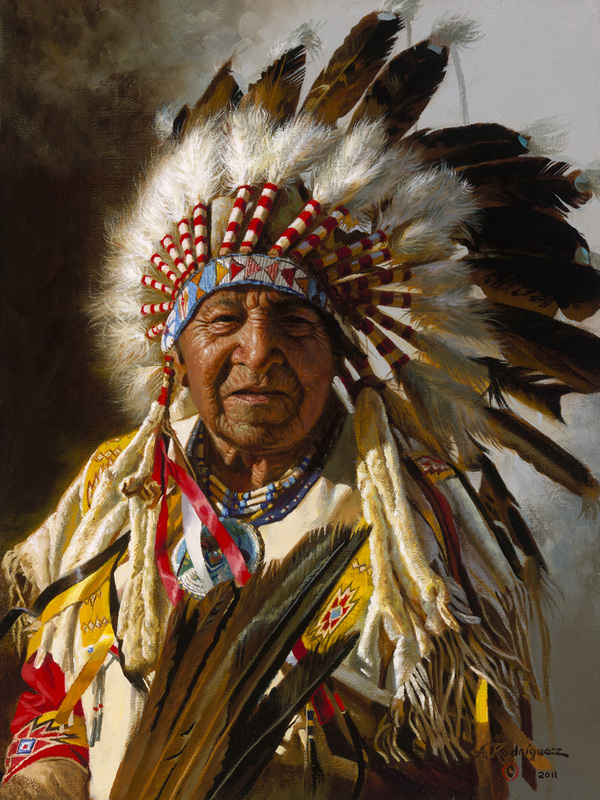 In 1968, an American art dealer discovered Alfredo's art and commissioned him to paint American Indians. 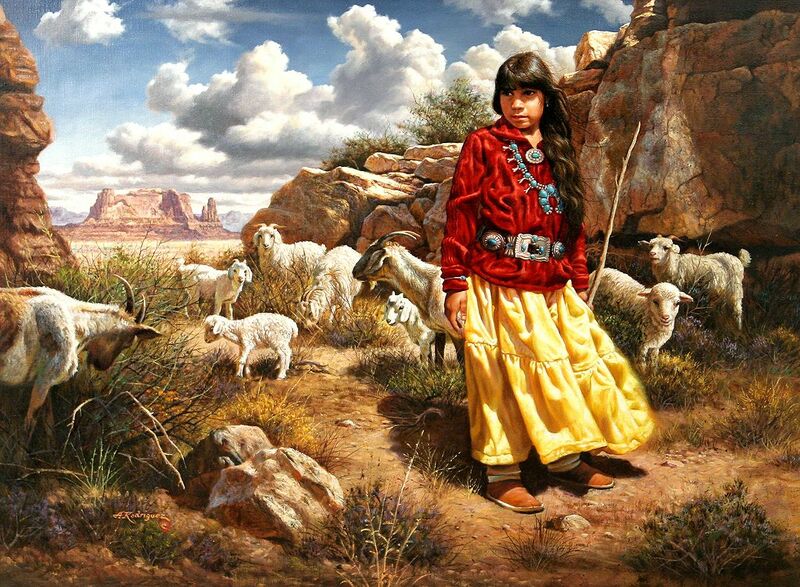 The paintings were highly successful and in 1973 Alfredo moved to America. 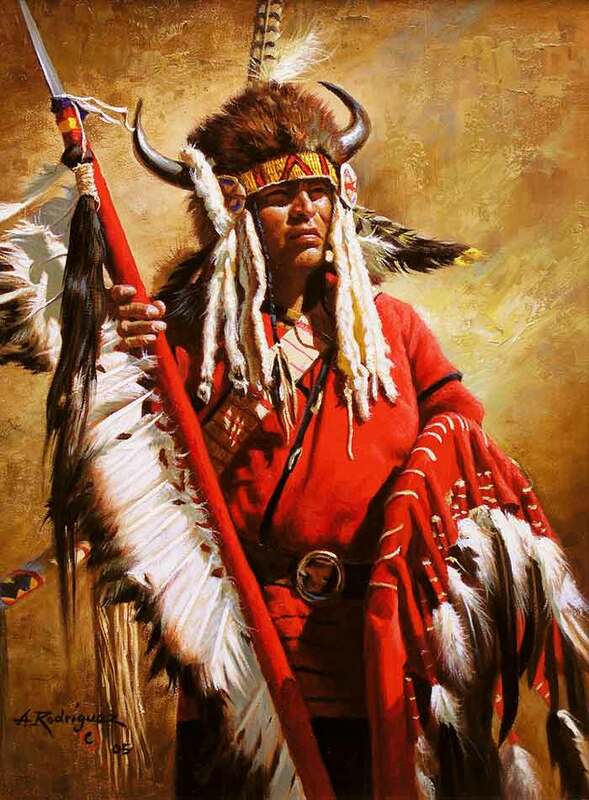 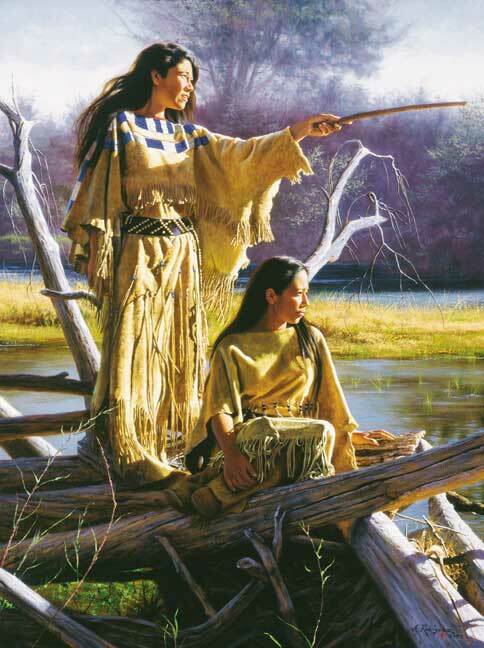 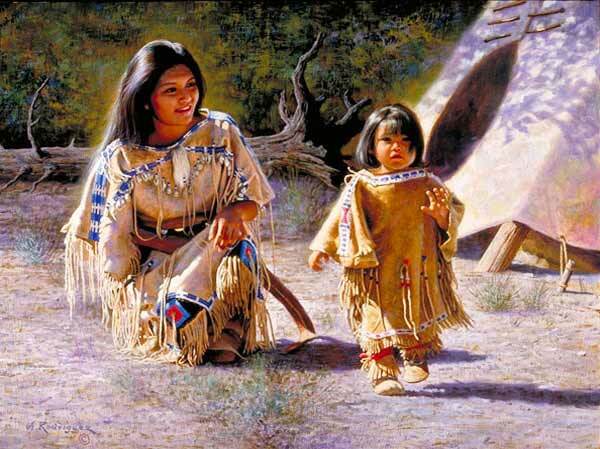 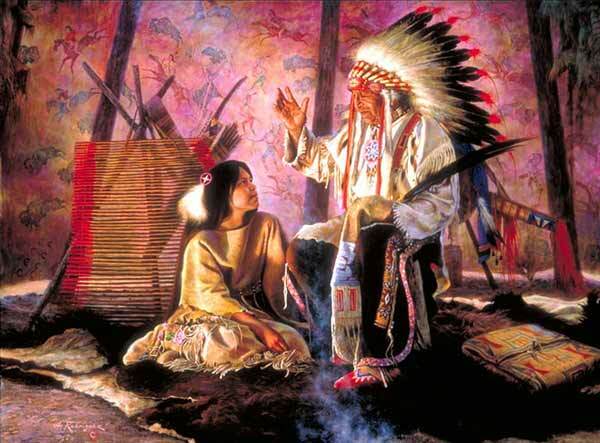 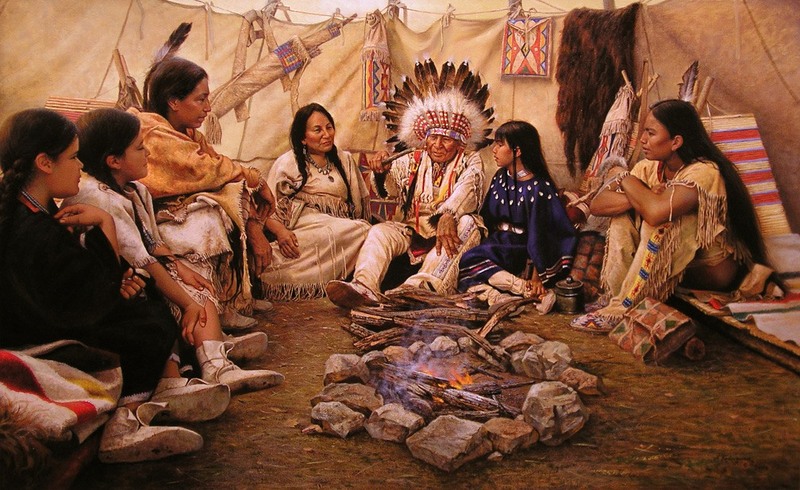 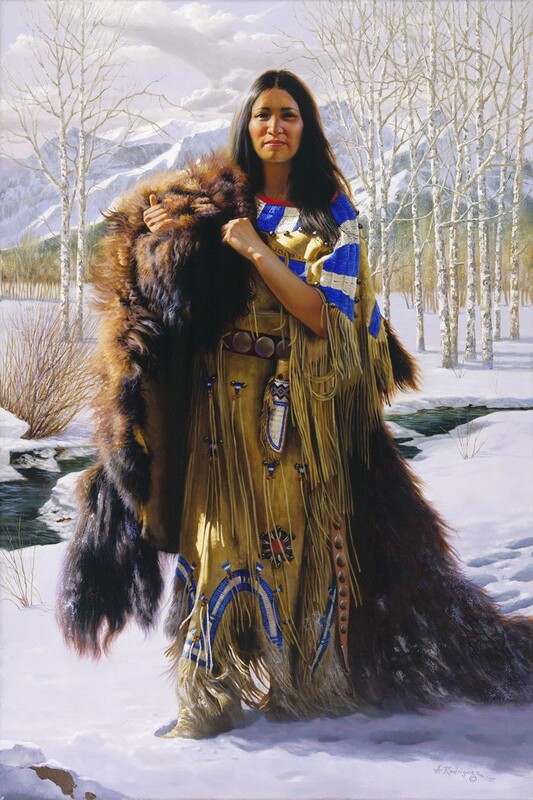 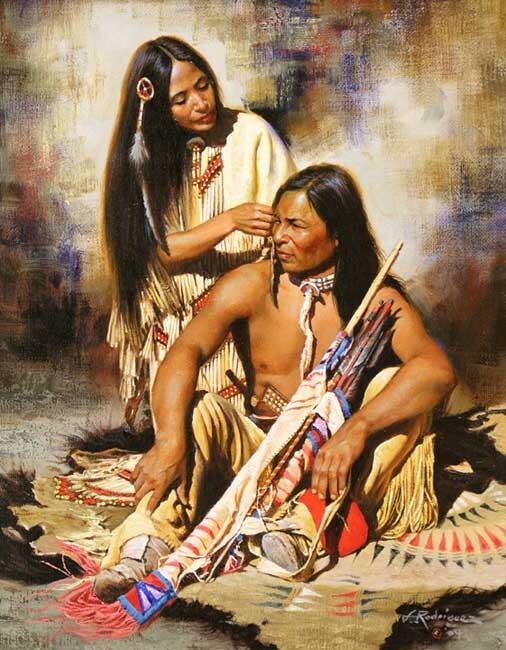 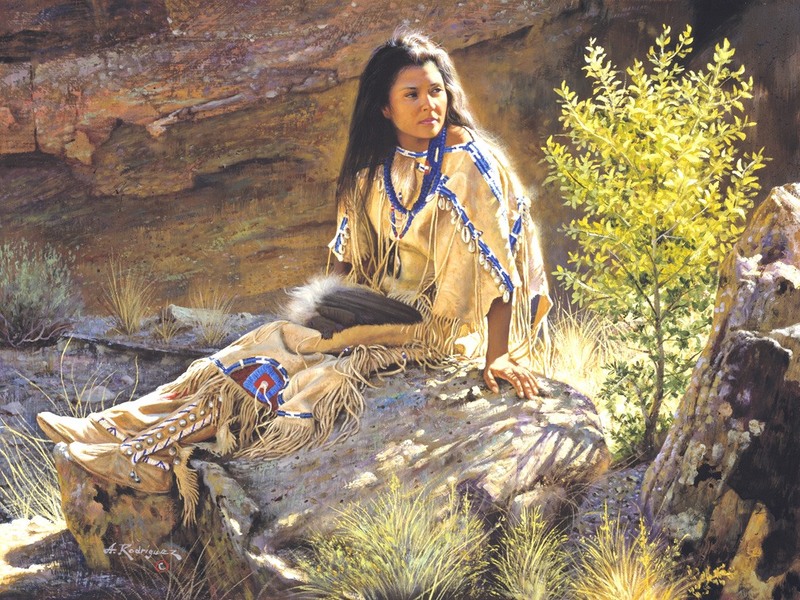 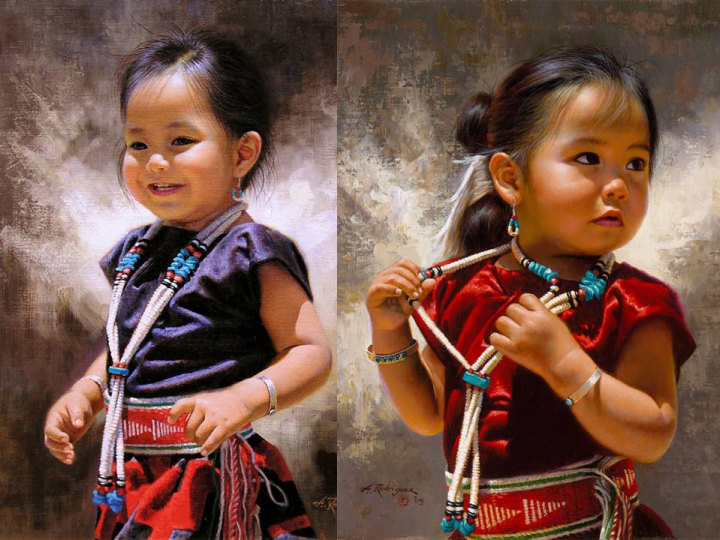 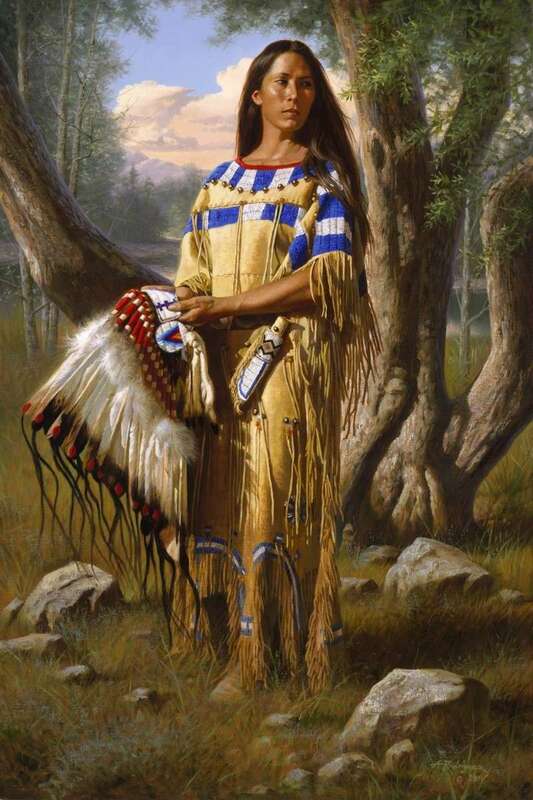 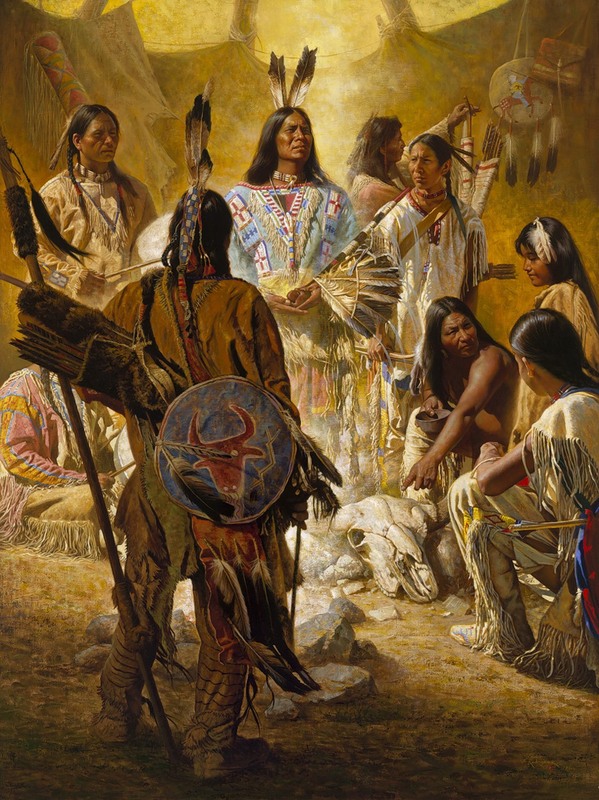 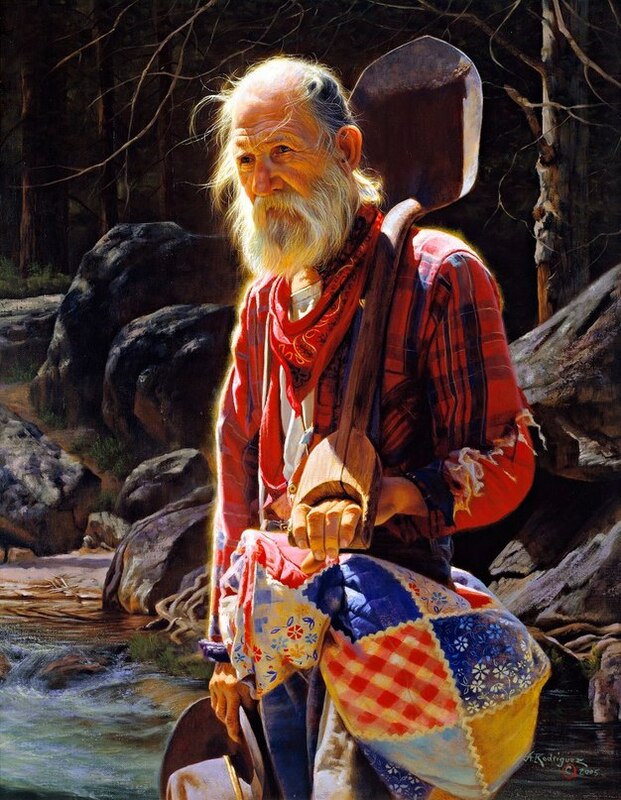 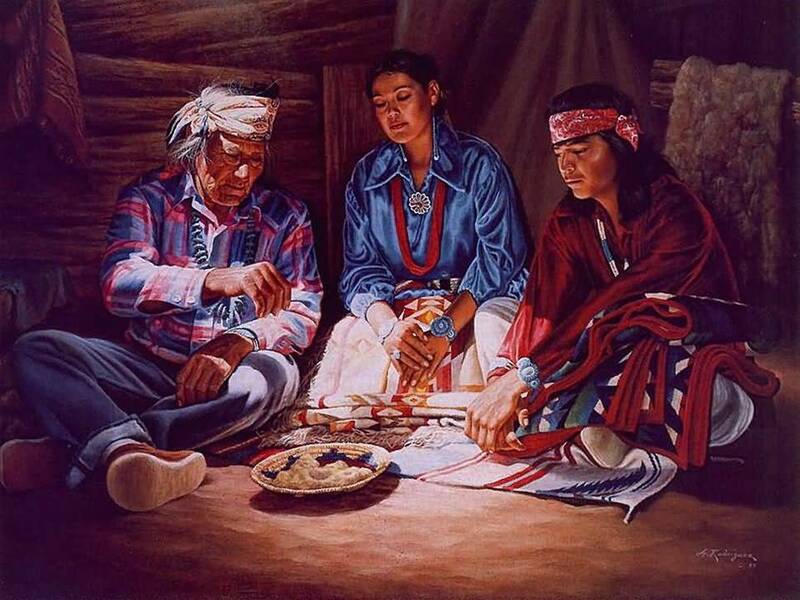 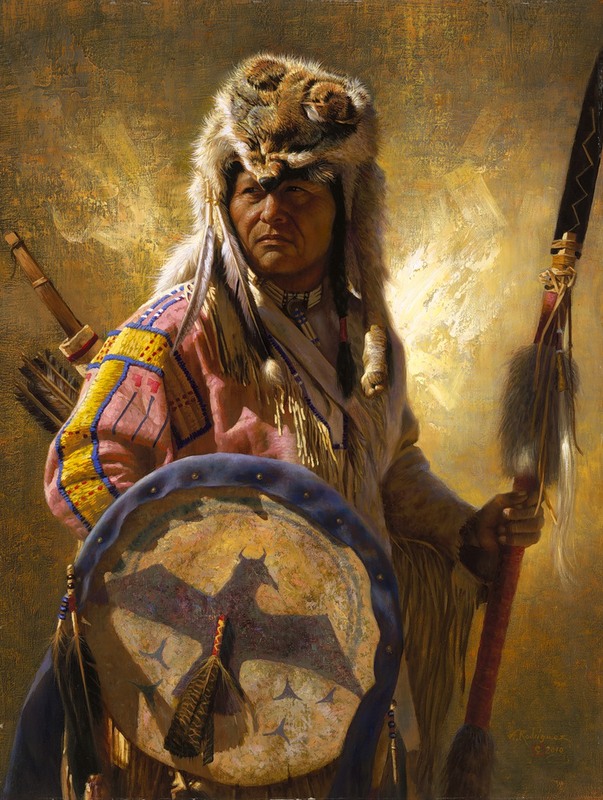 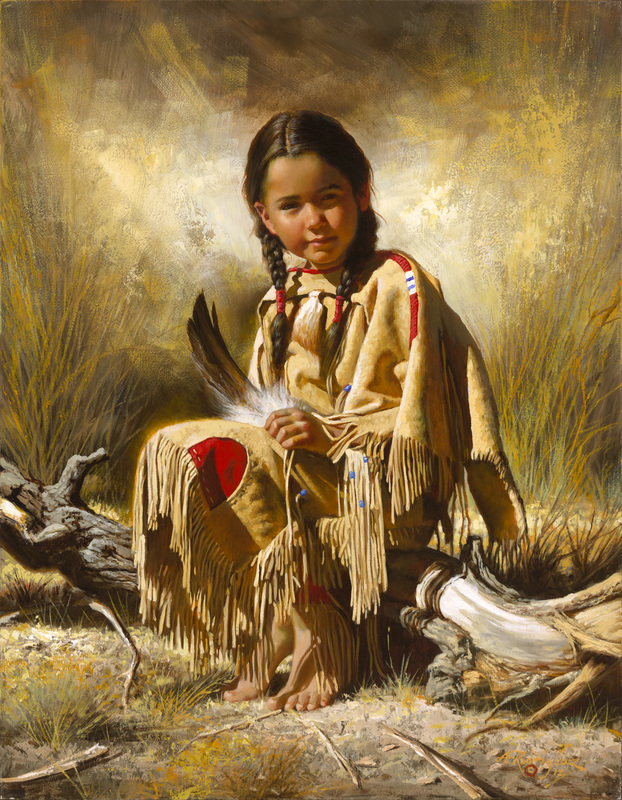 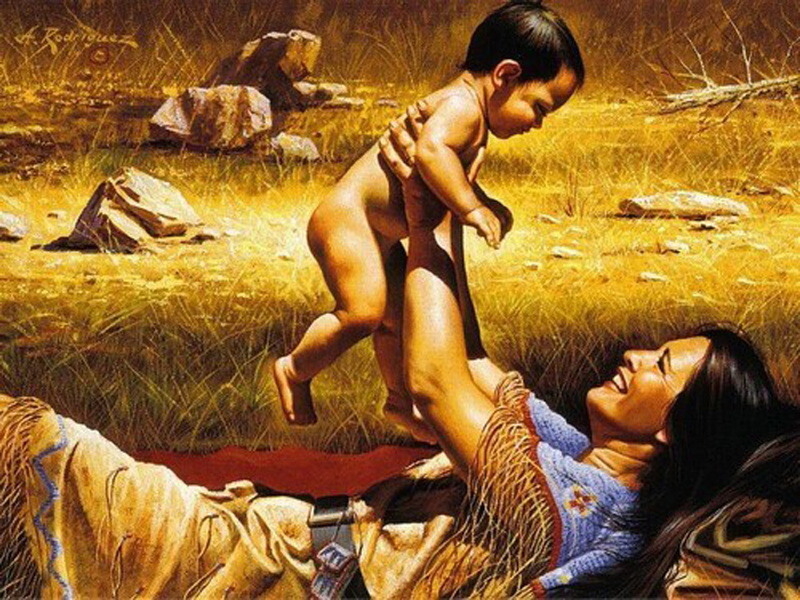 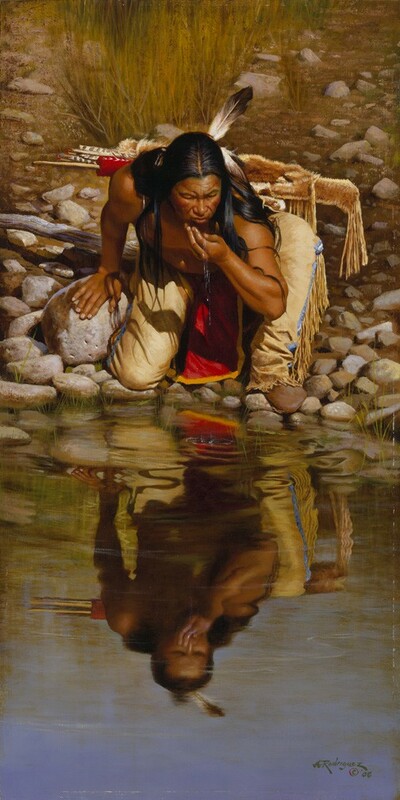 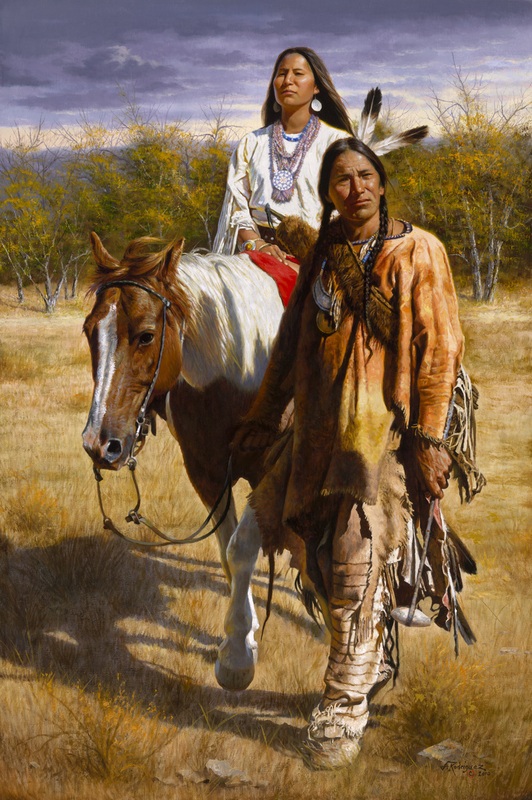 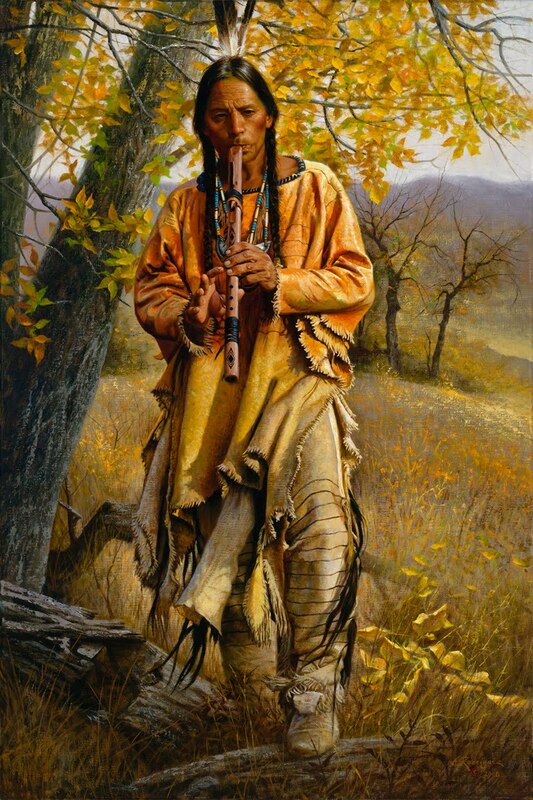 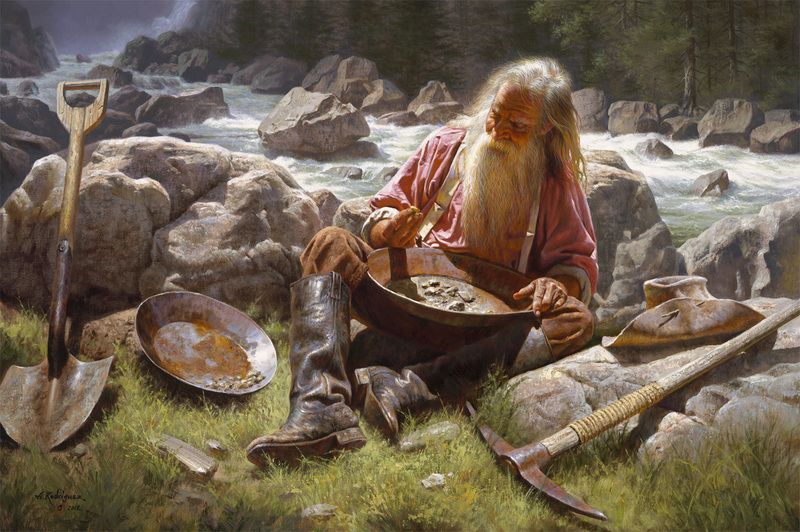 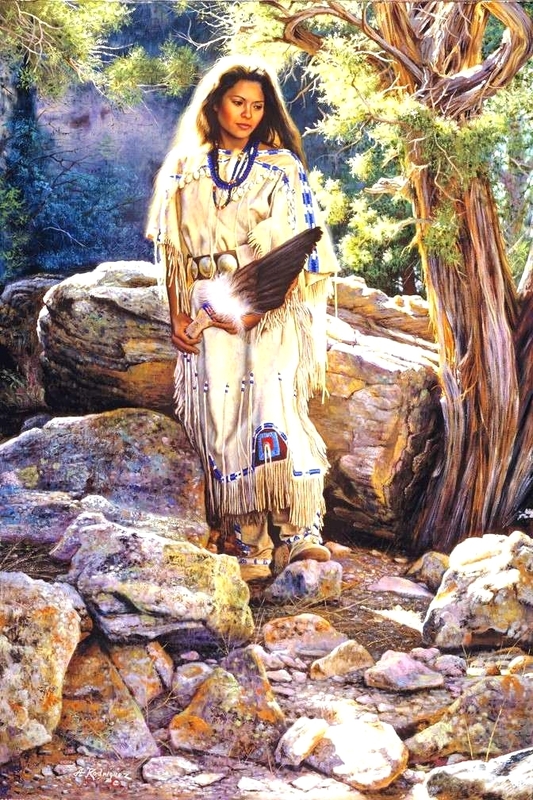 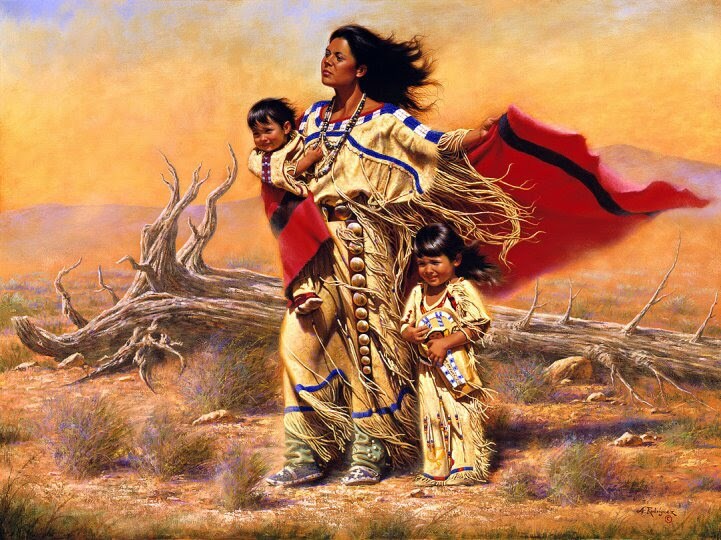 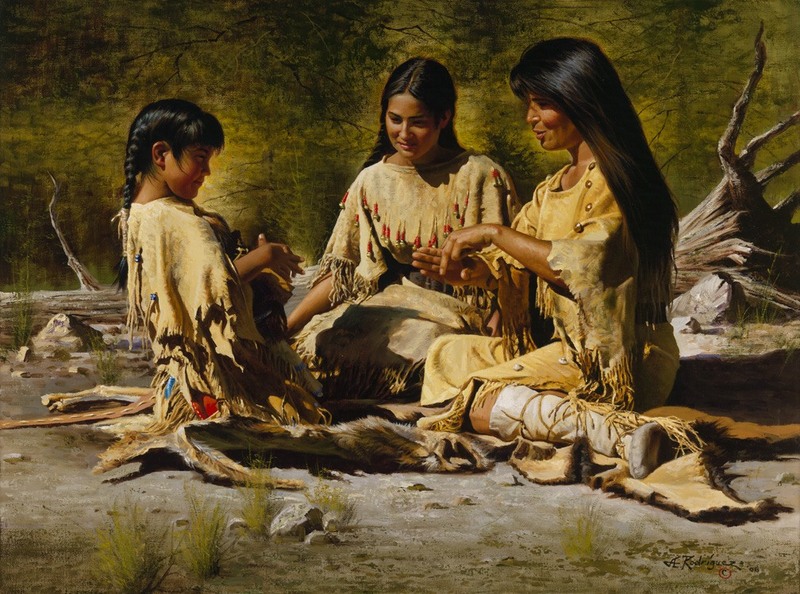 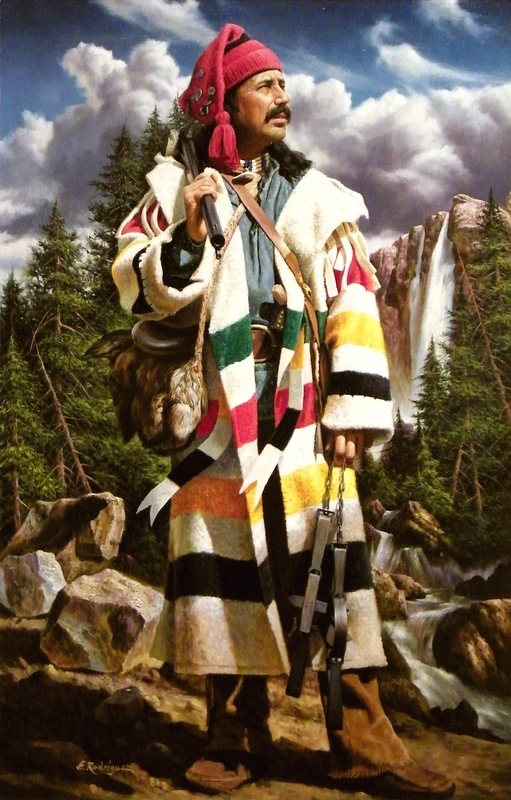 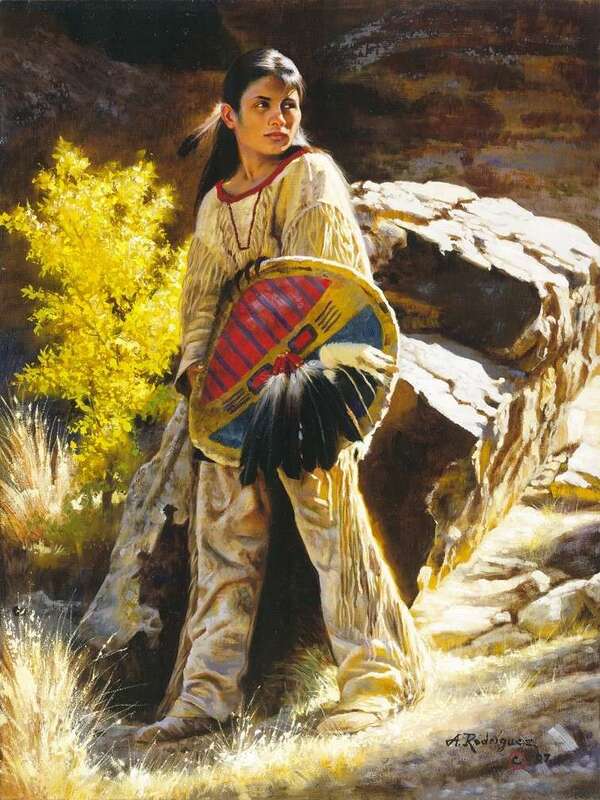 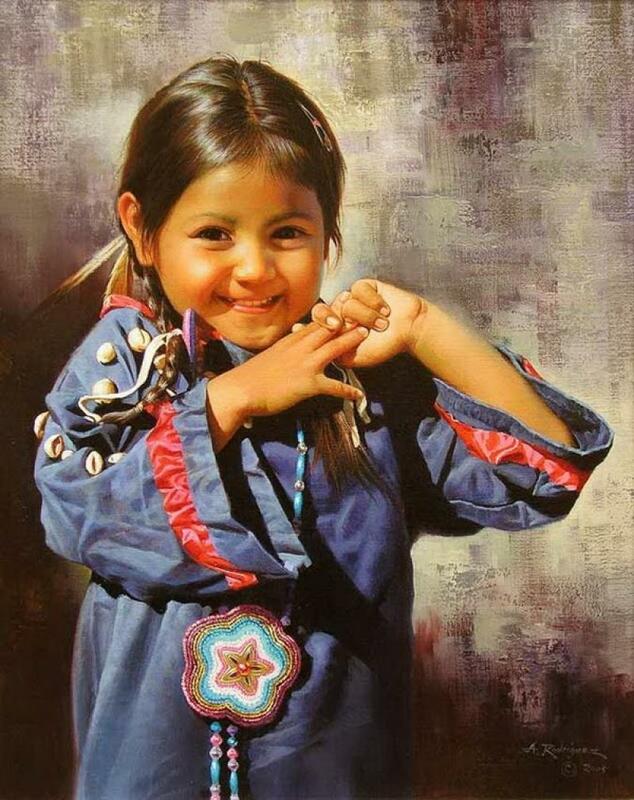 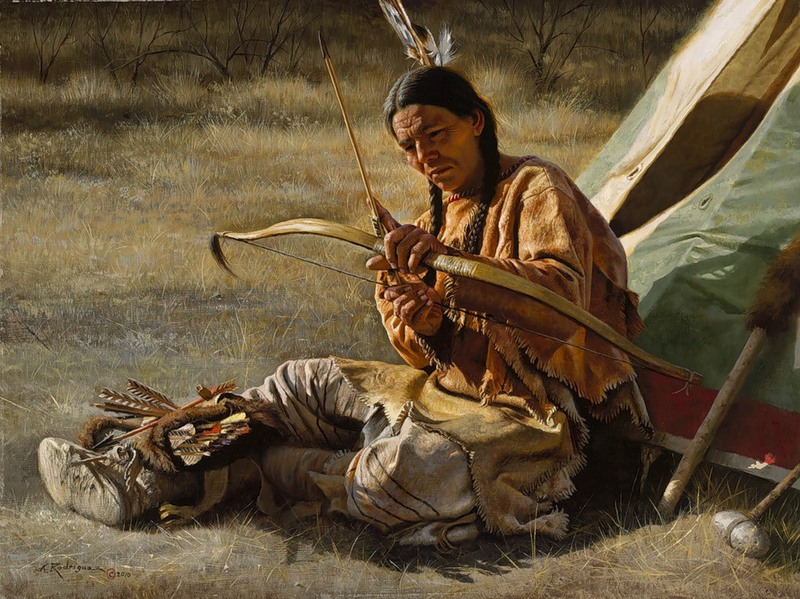 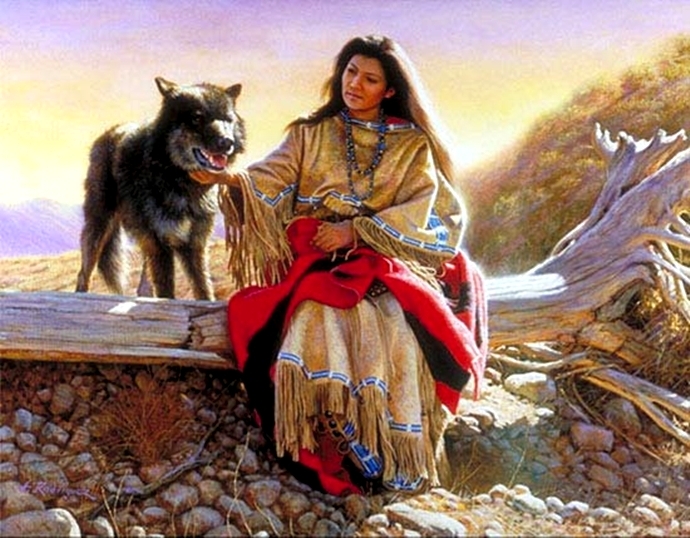 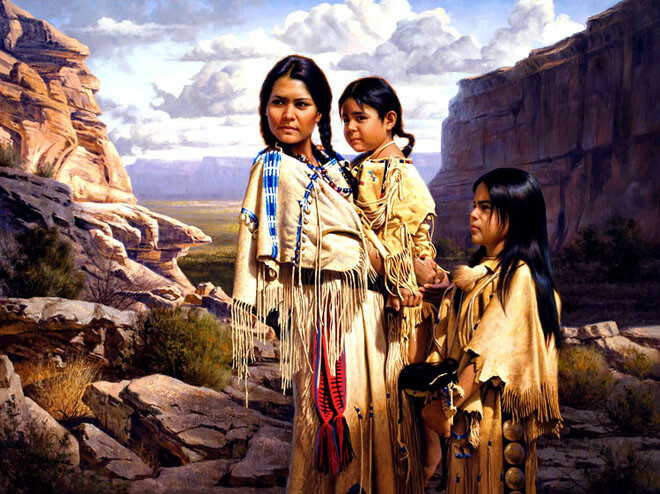 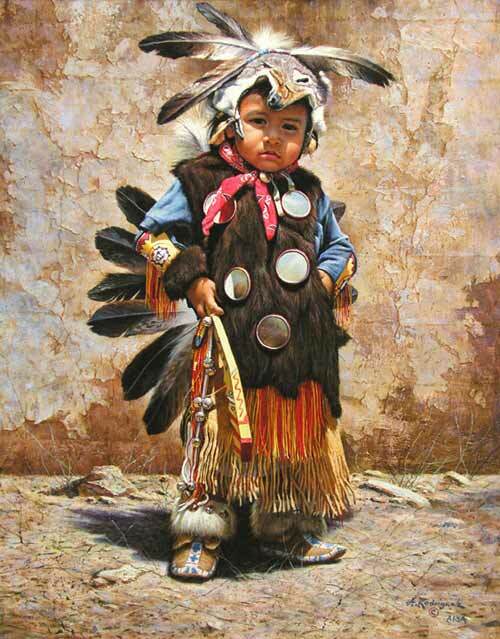 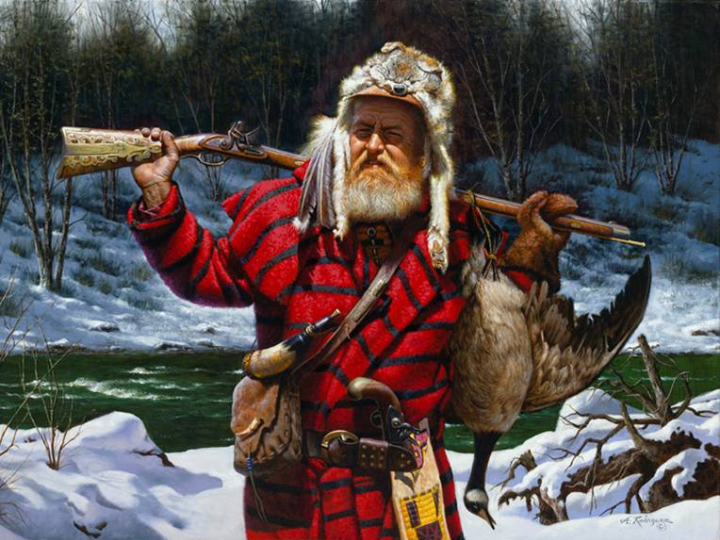 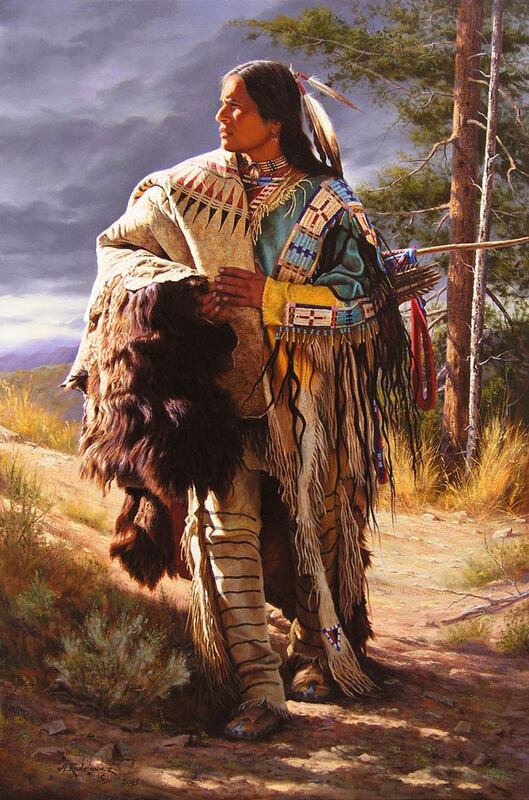 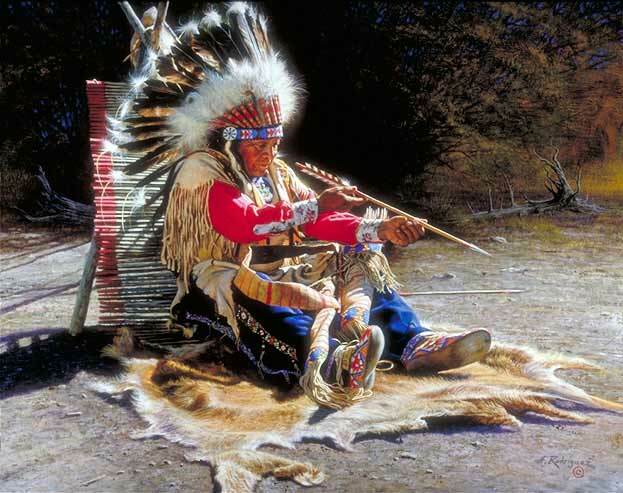 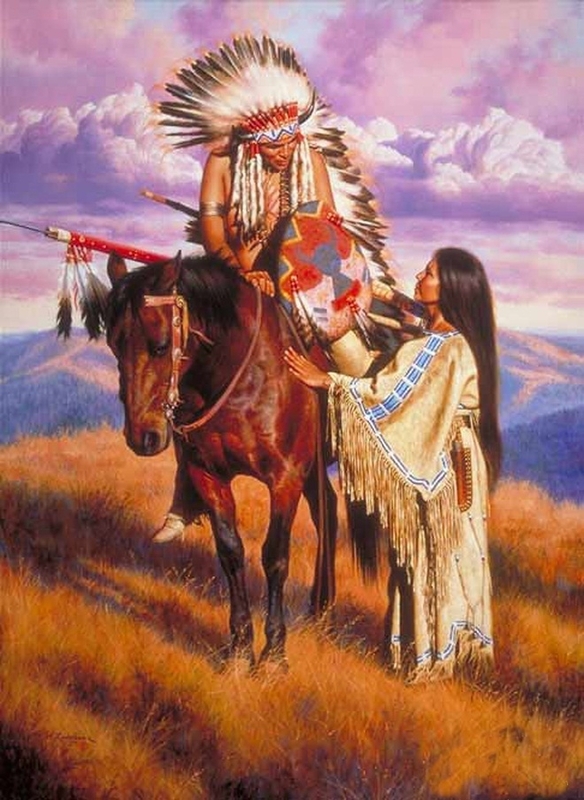 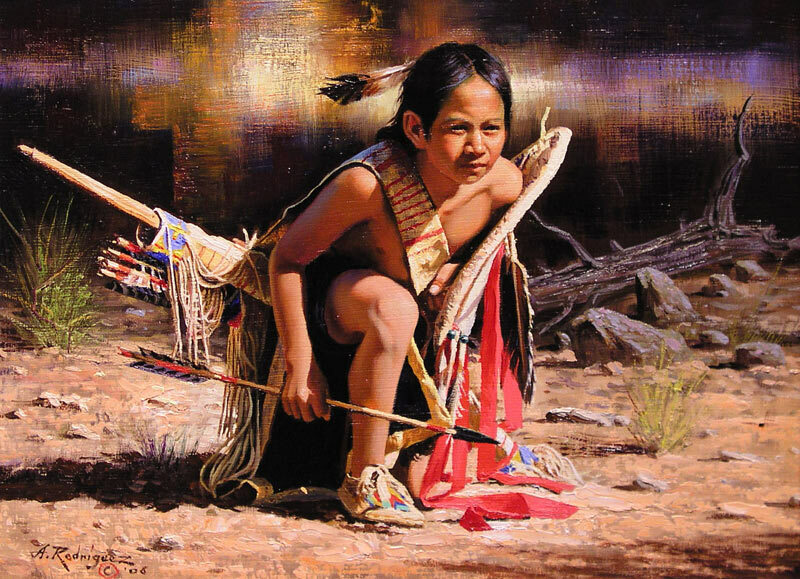 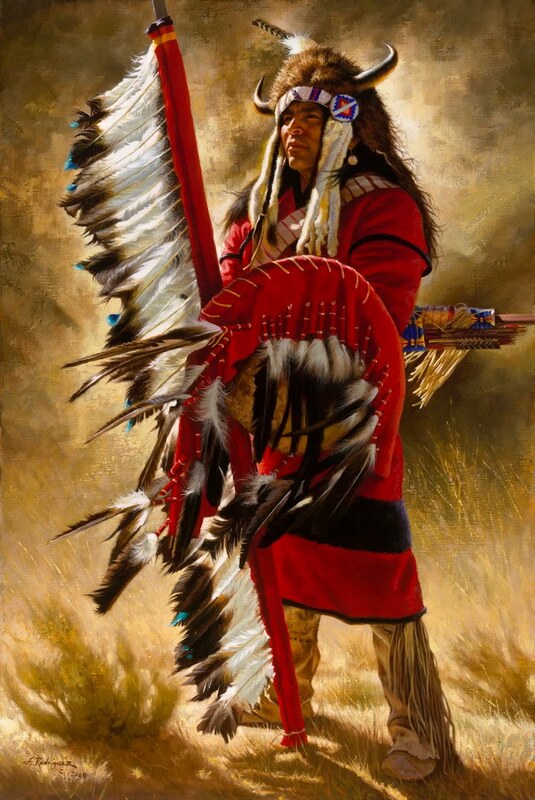 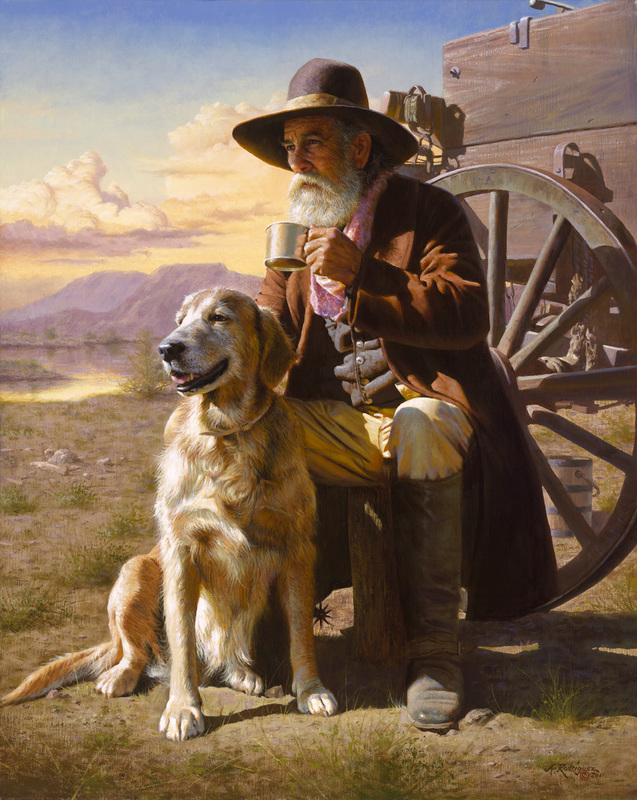 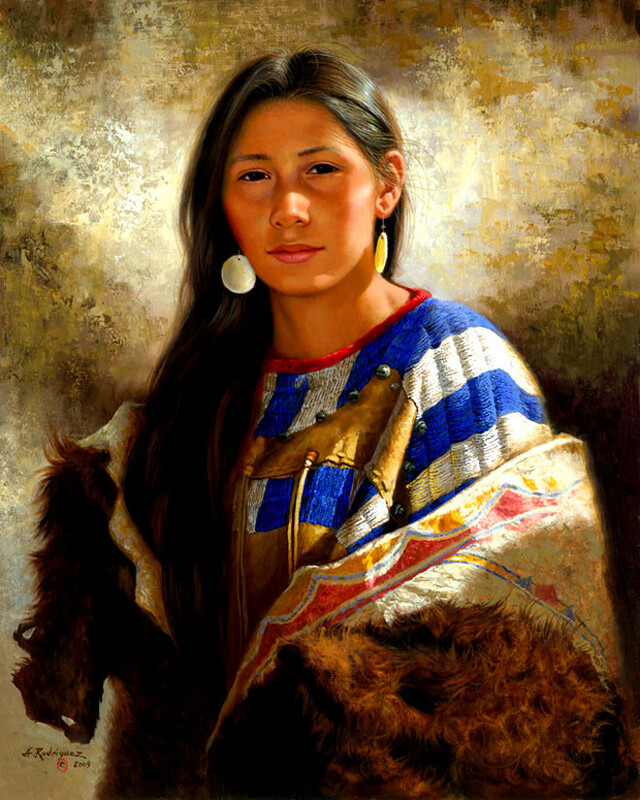 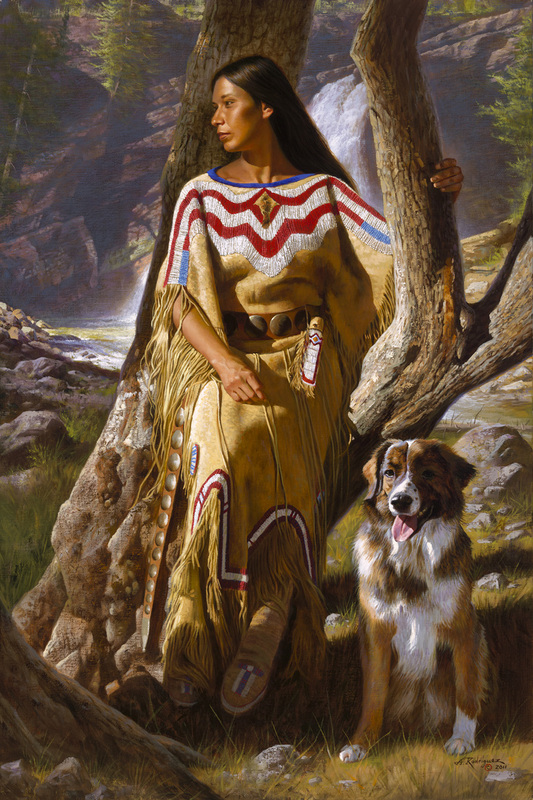 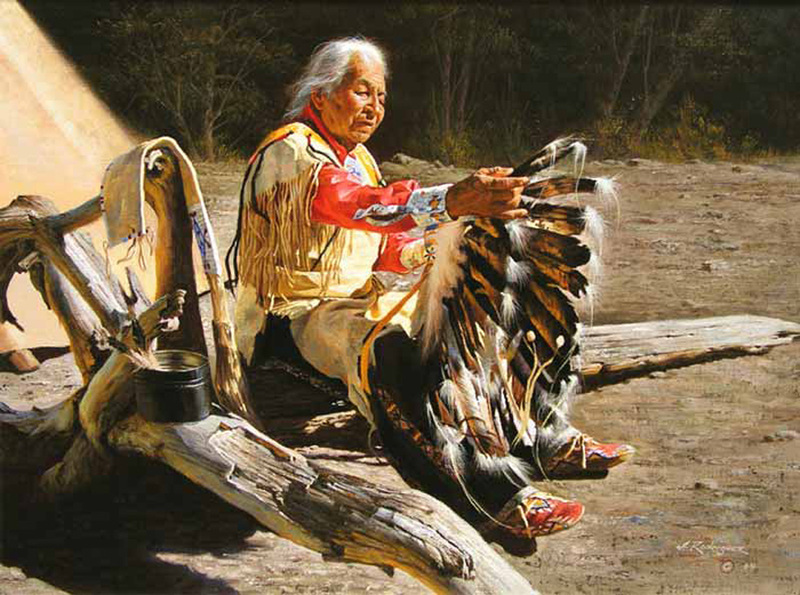 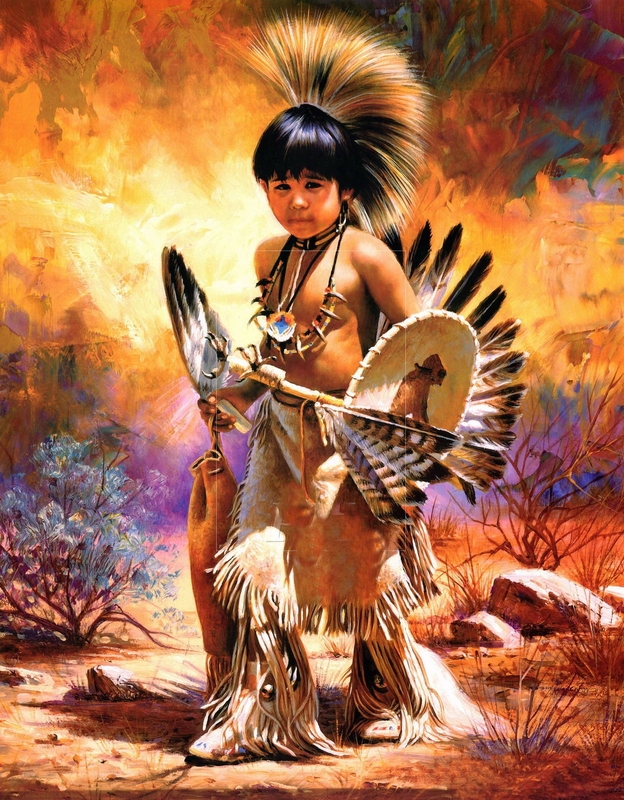 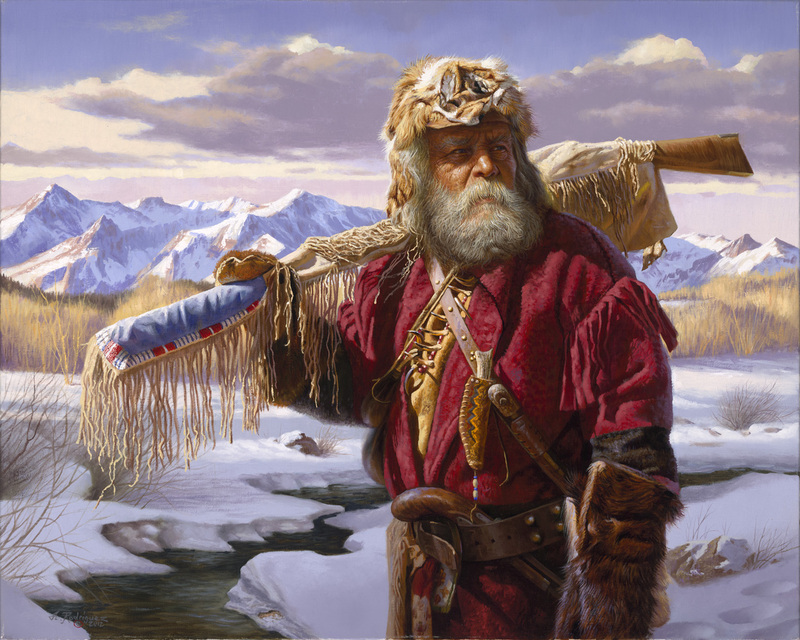 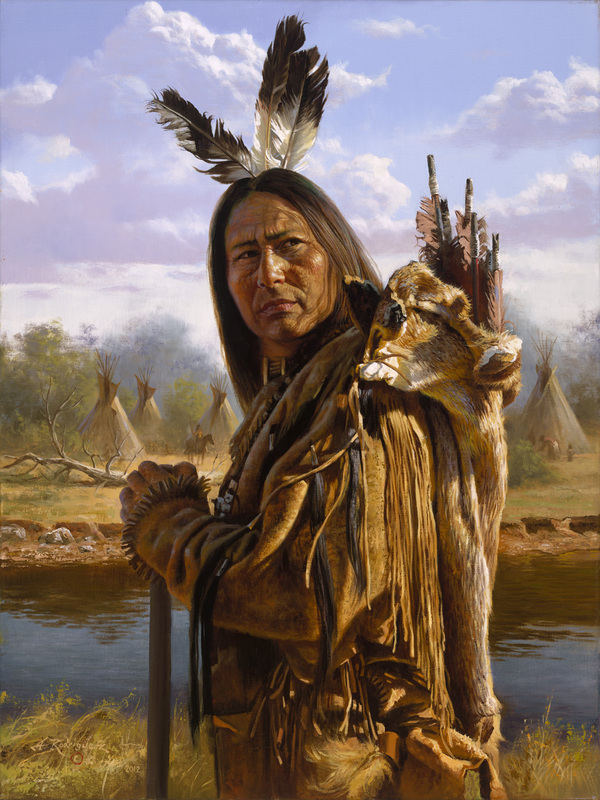 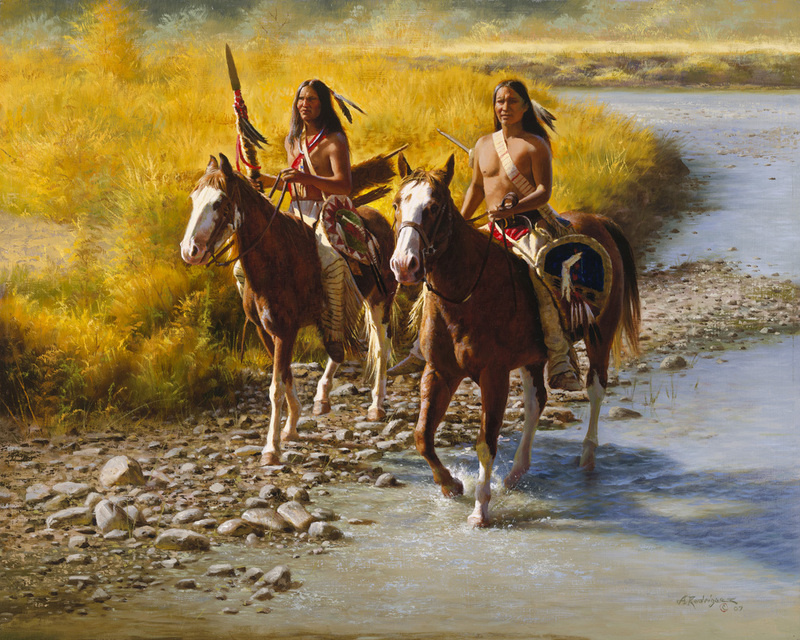 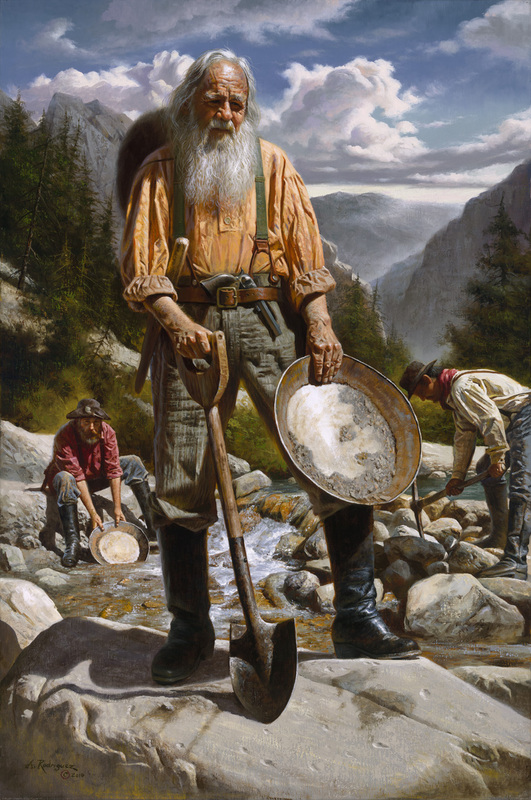 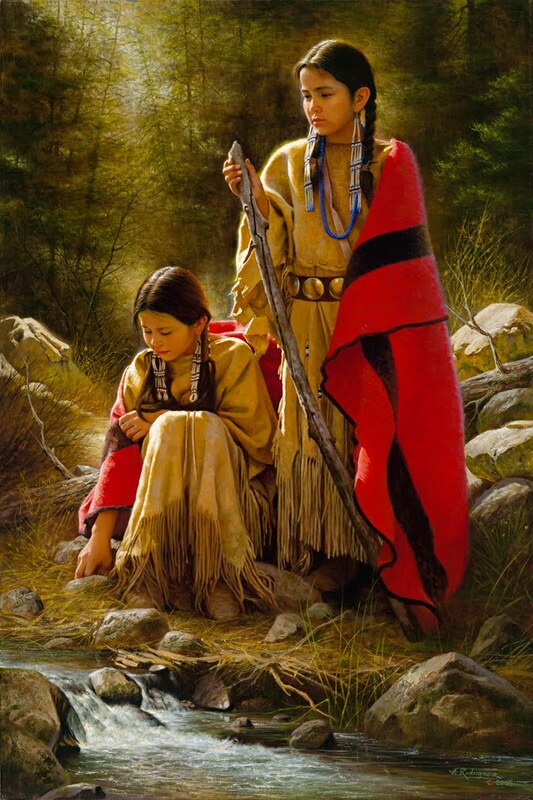 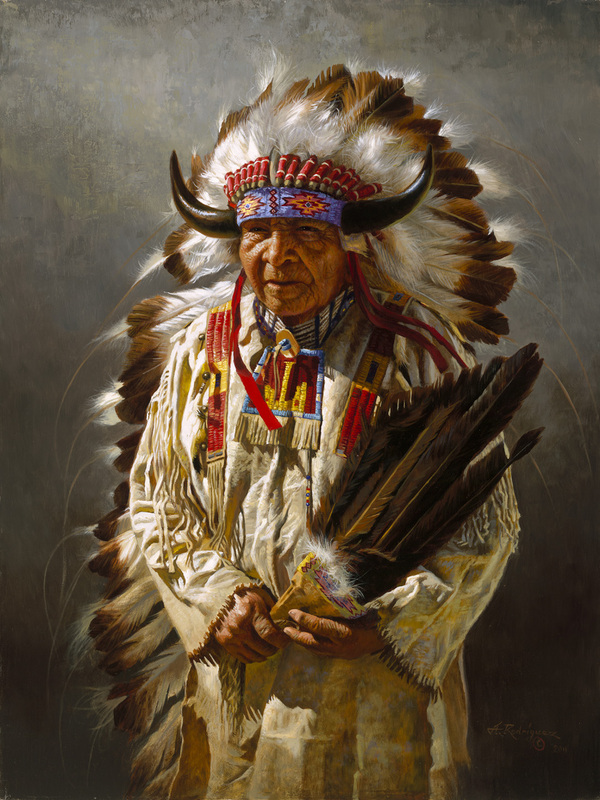 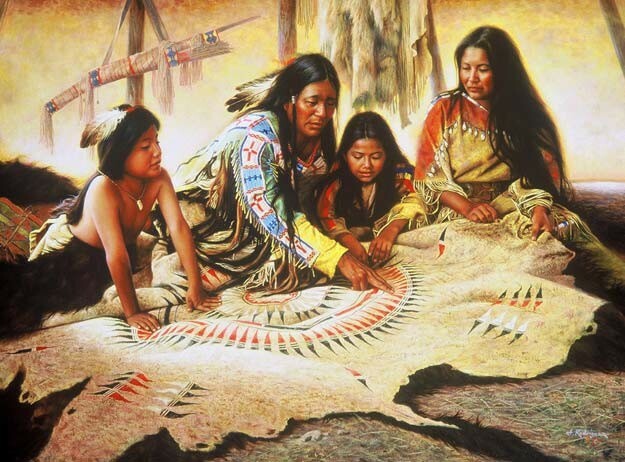 He has been painting American Indians and Mountain Men ever since. 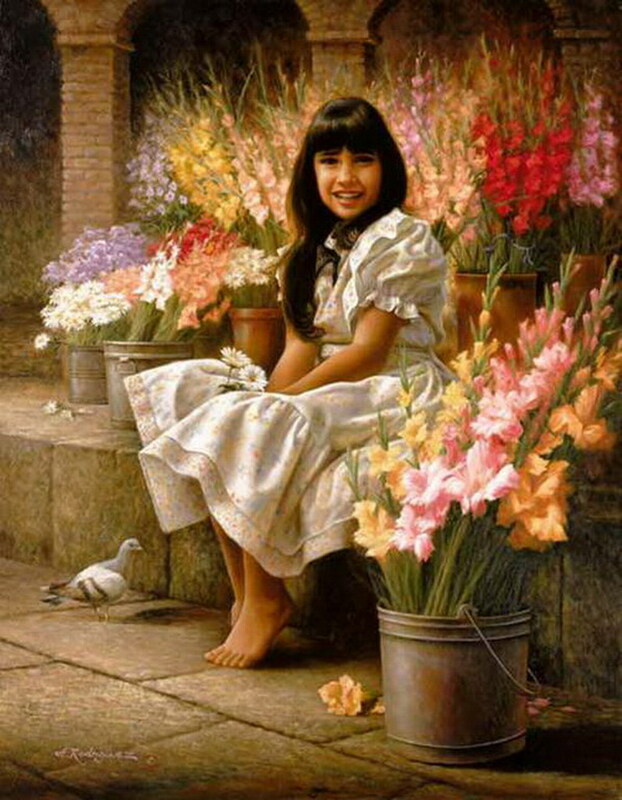 Alfredo considers himself a traditional artist and describes his style of painting as Classical Realism with a bit of Impressionism. 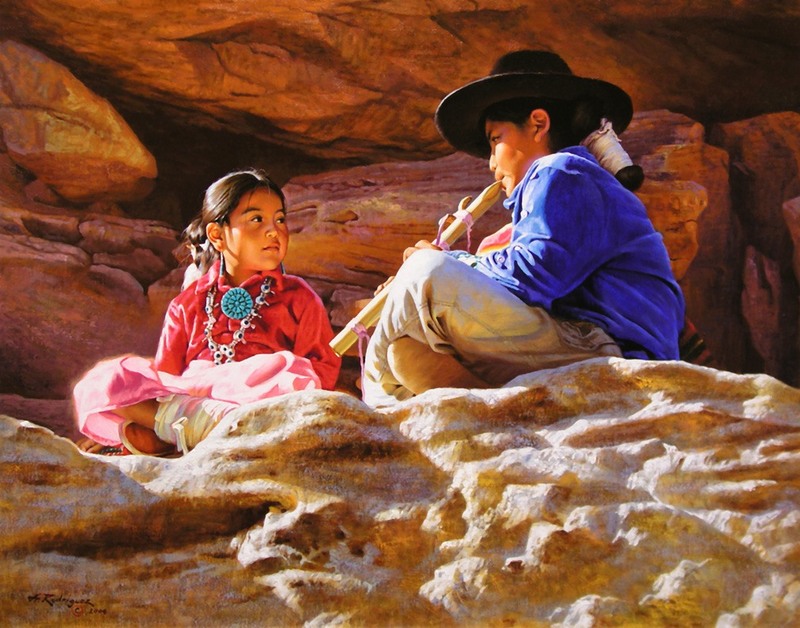 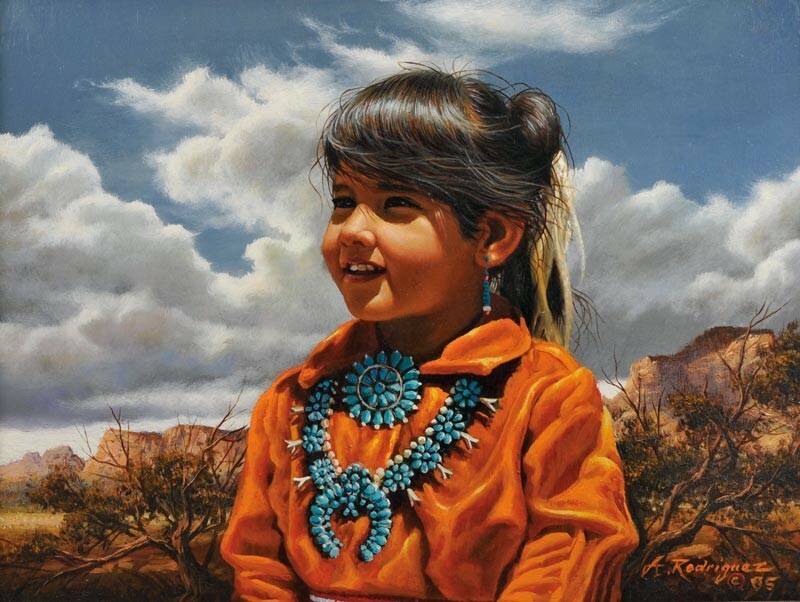 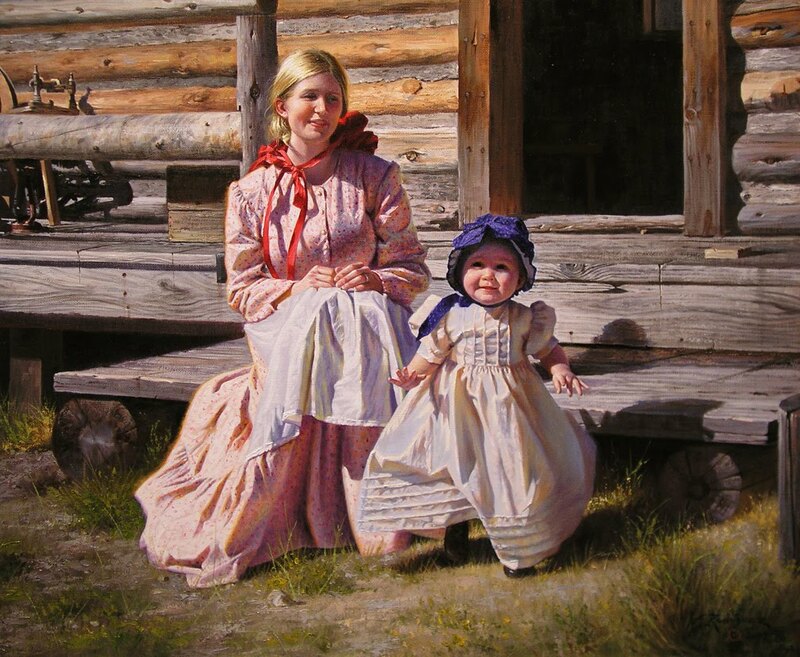 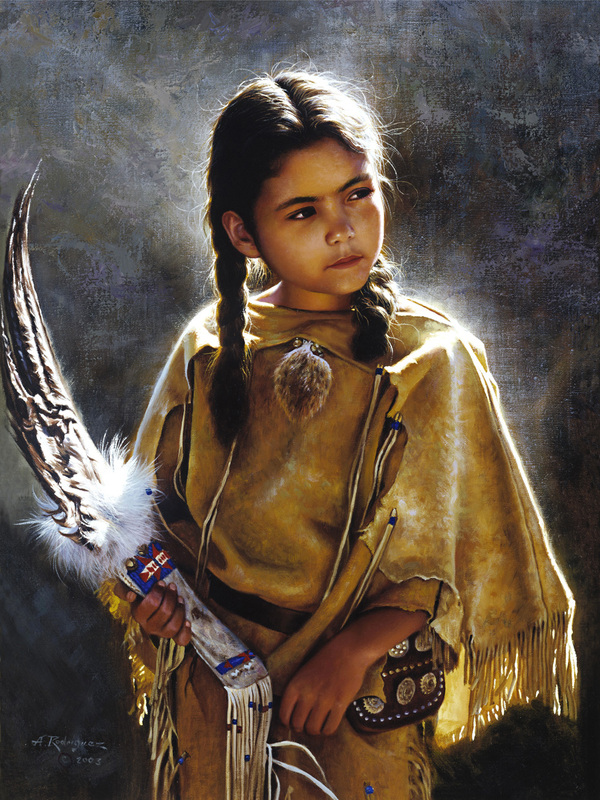 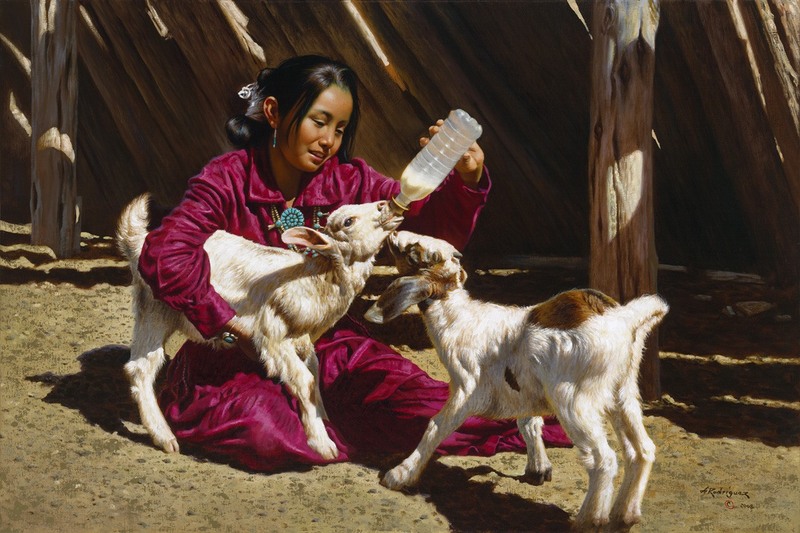 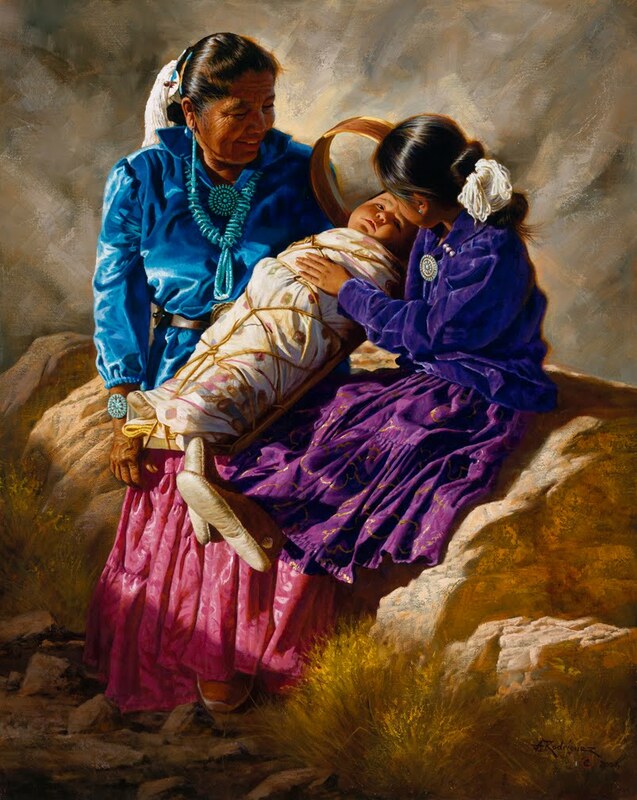 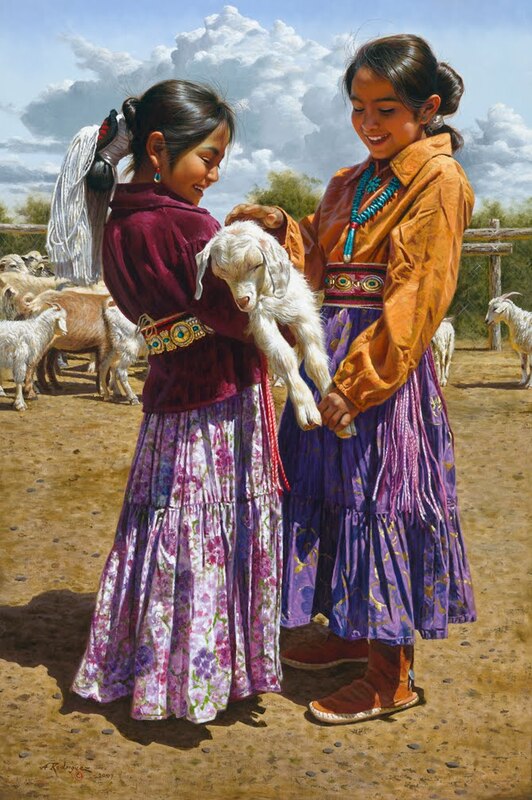 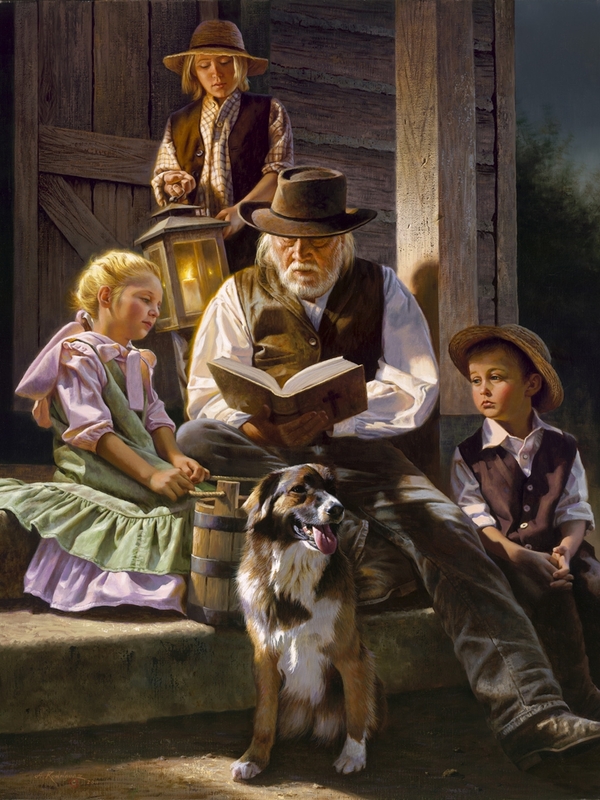 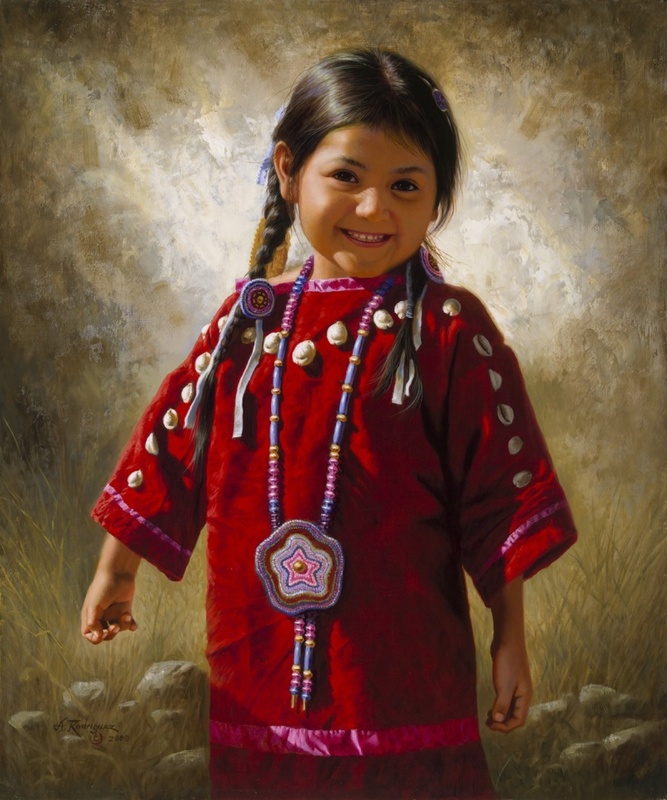 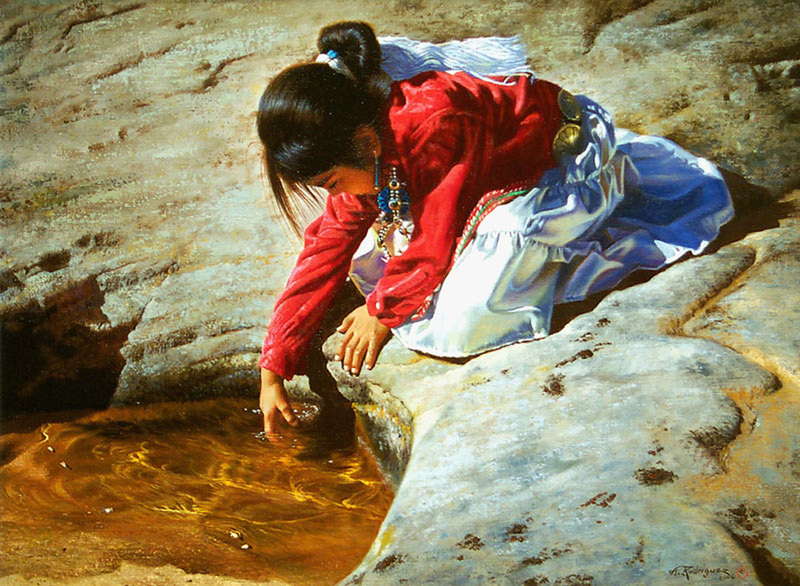 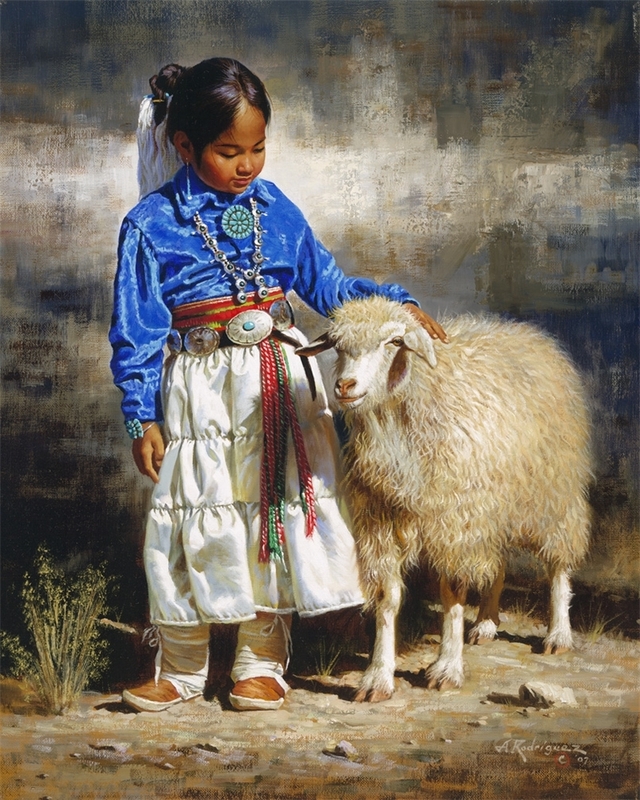 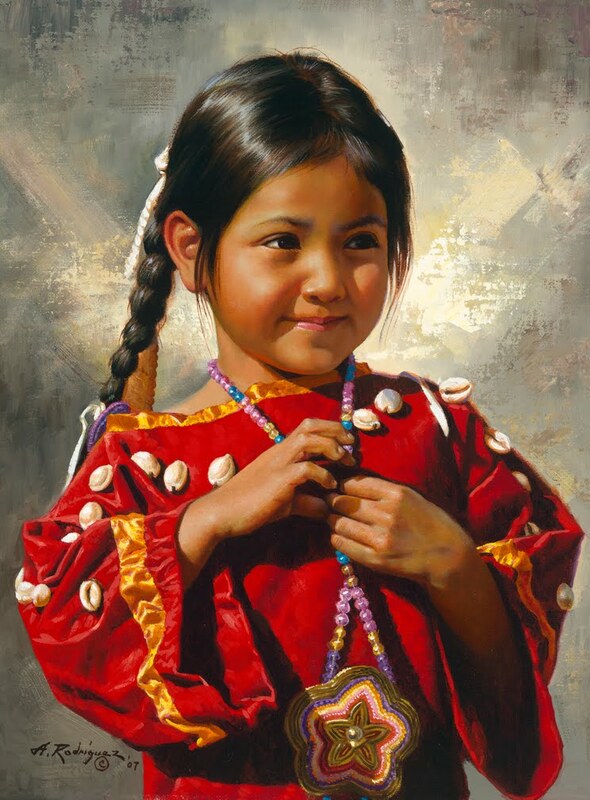 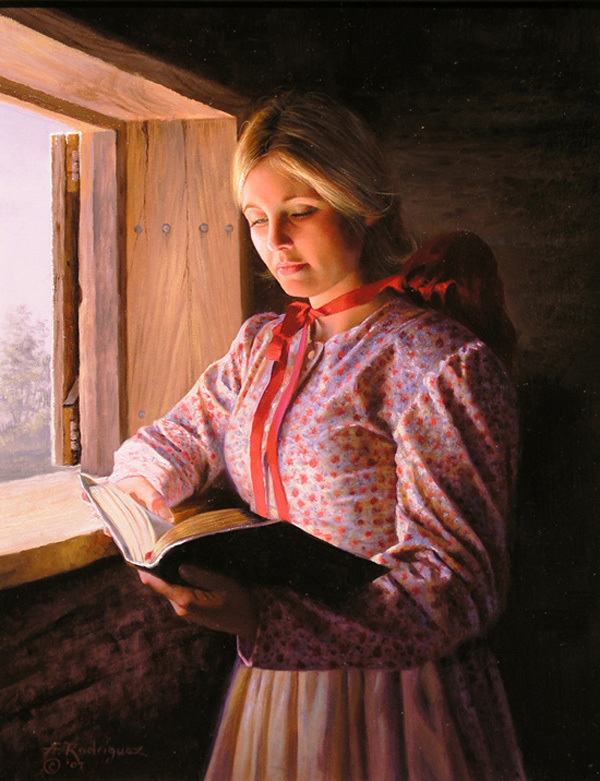 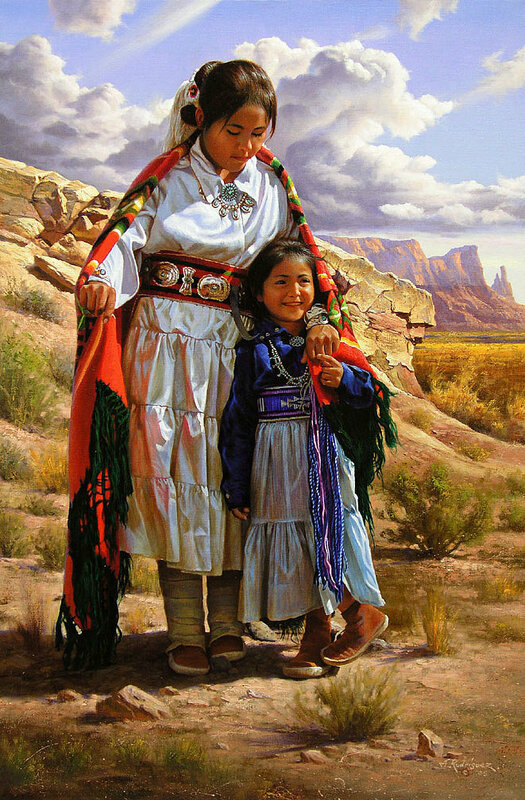 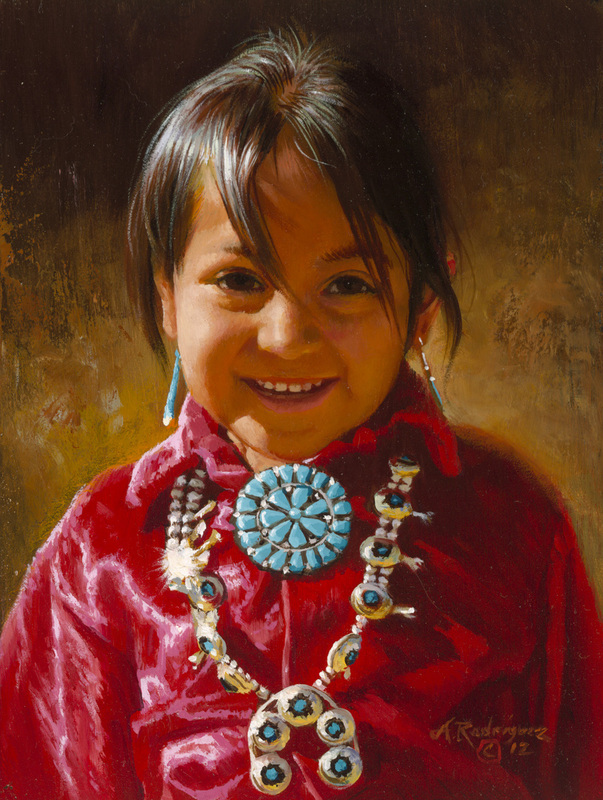 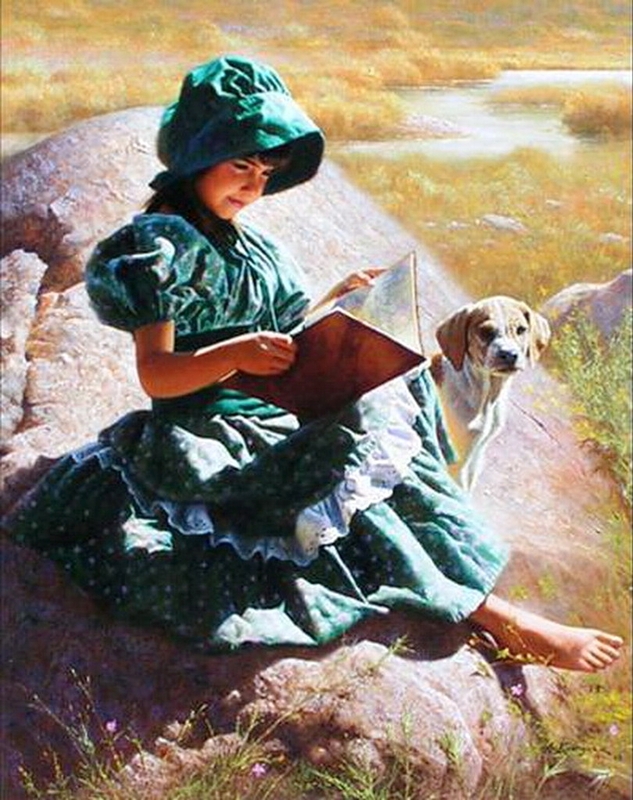 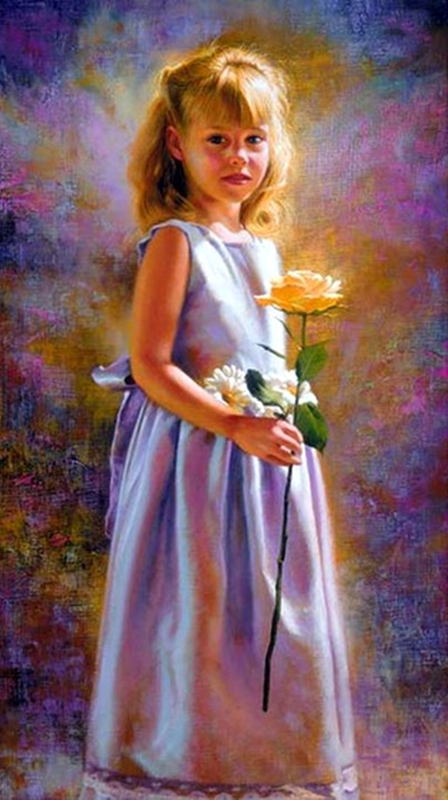 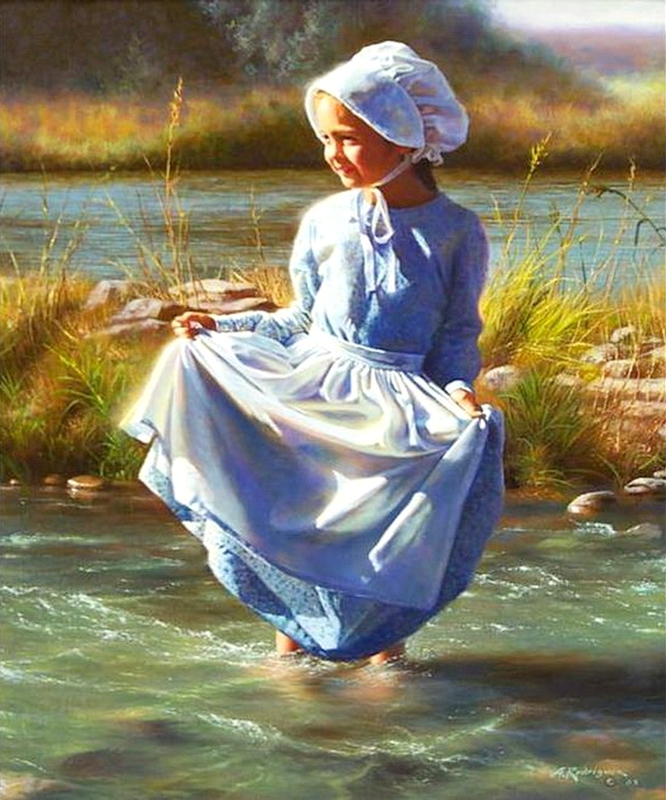 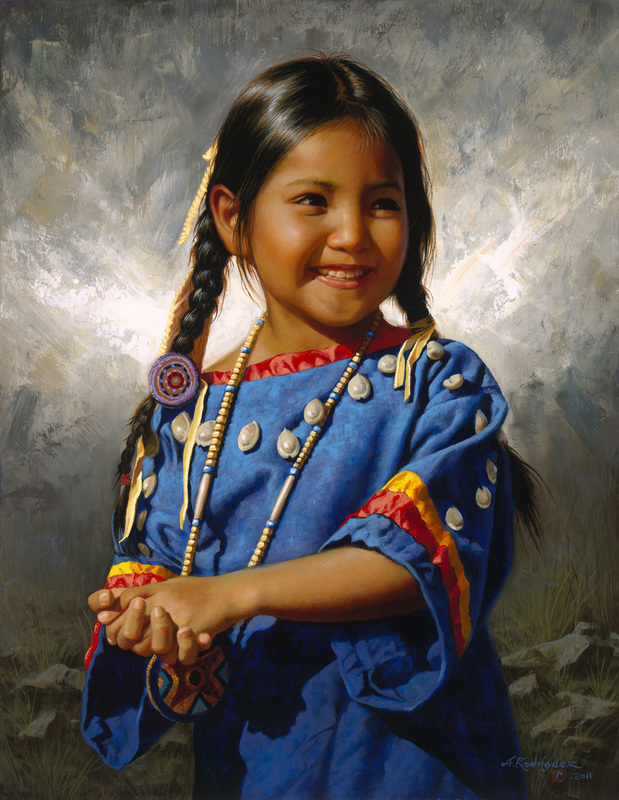 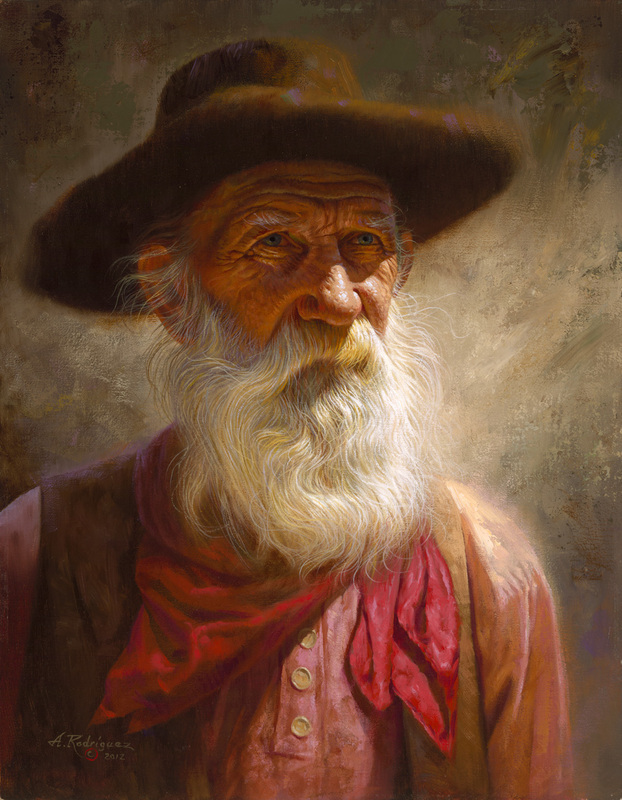 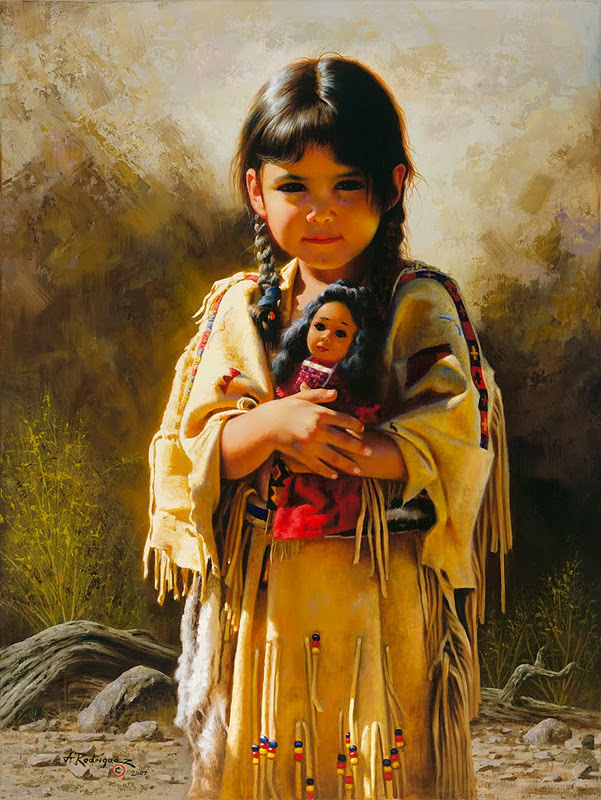 Now living in California and winning awards from several of the most prestigious organizations, Rodriguez' work is also included in the books "Western painting Today" by Royal B. Hassick and "Contemporary Western Artist" by Peggy and Harold Samuels. 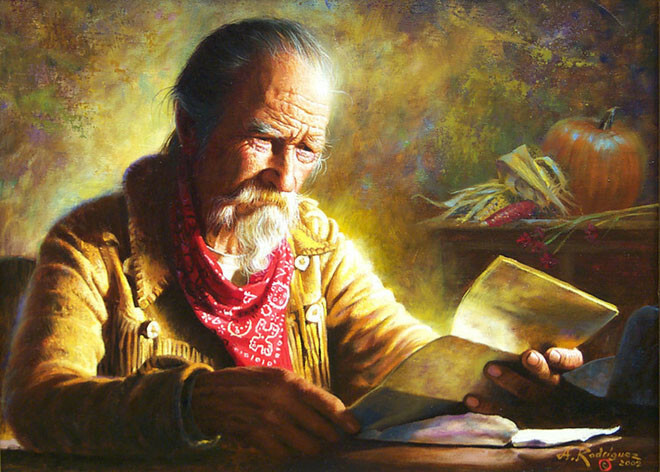 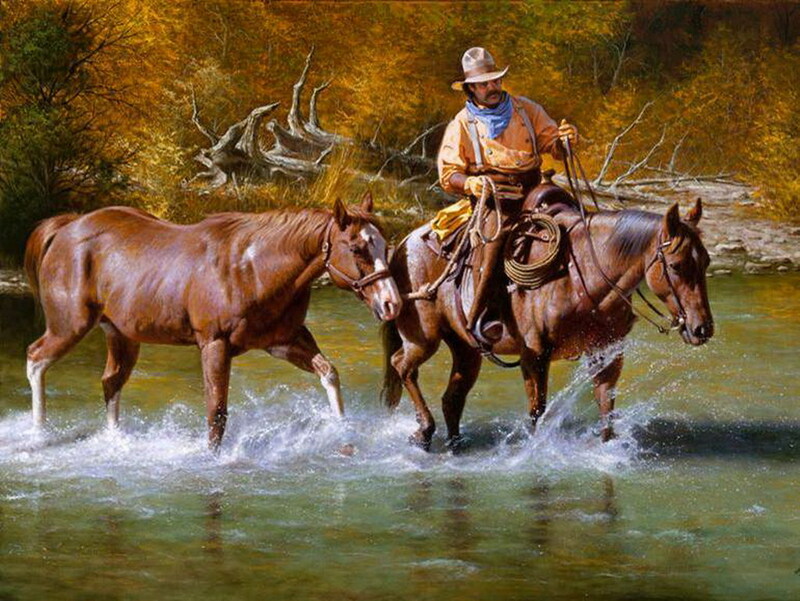 Alfredo also has been featured in magazines such as "Art of the West," "Informart," "Western Horseman" and "International Fine Art Collector." 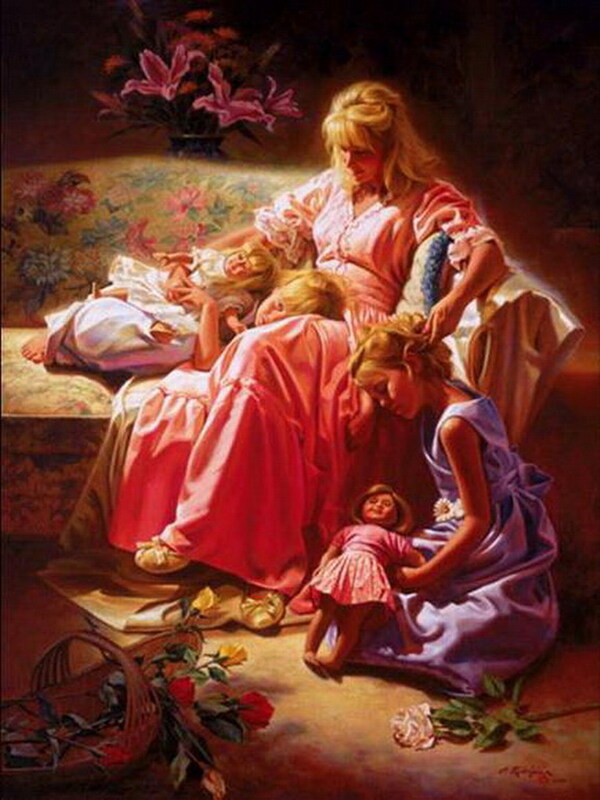 Alfredo lives with his wife Cheryl and three daughters in Corona, California.